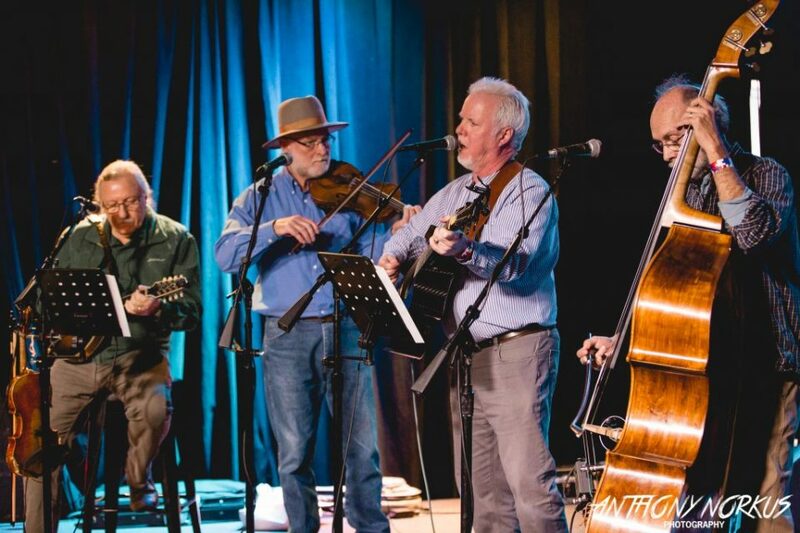 The 10th annual mini-festival on Saturday convened veterans and newcomers for a celebration of bluegrass, folk, country and roots music. 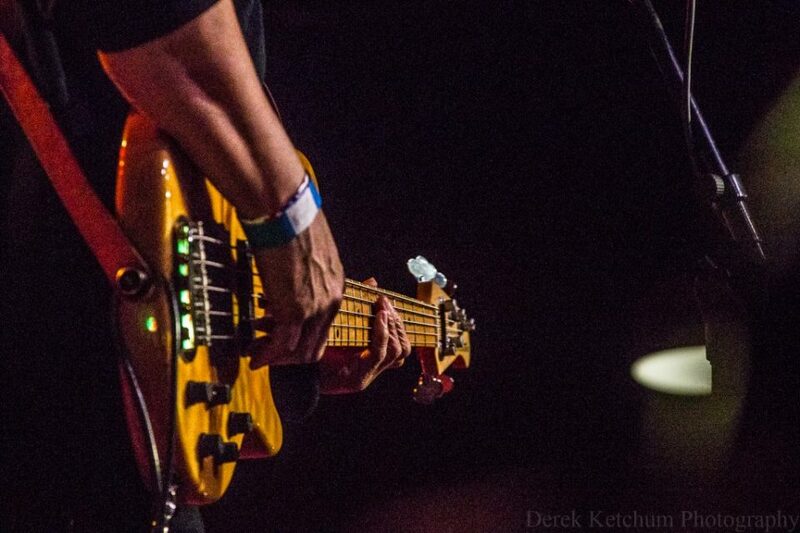 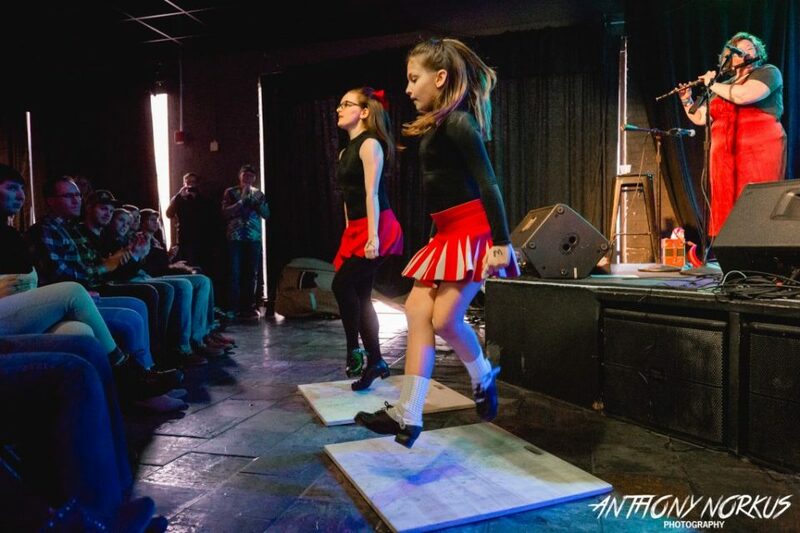 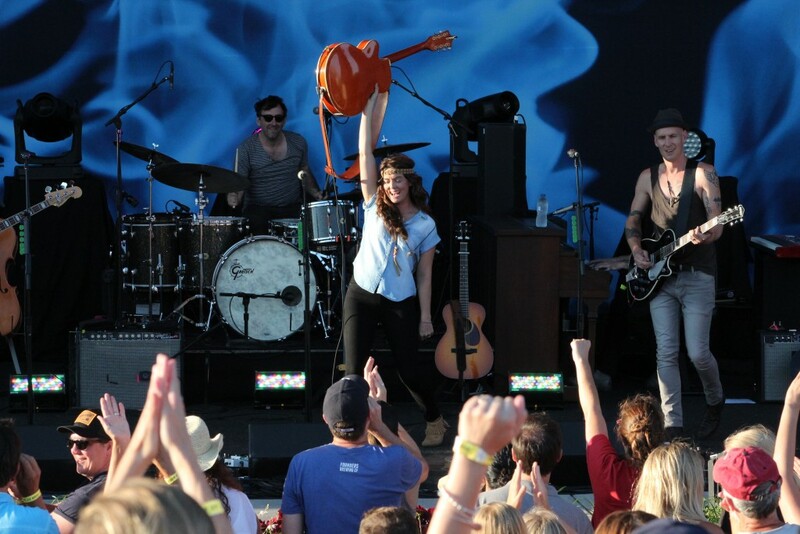 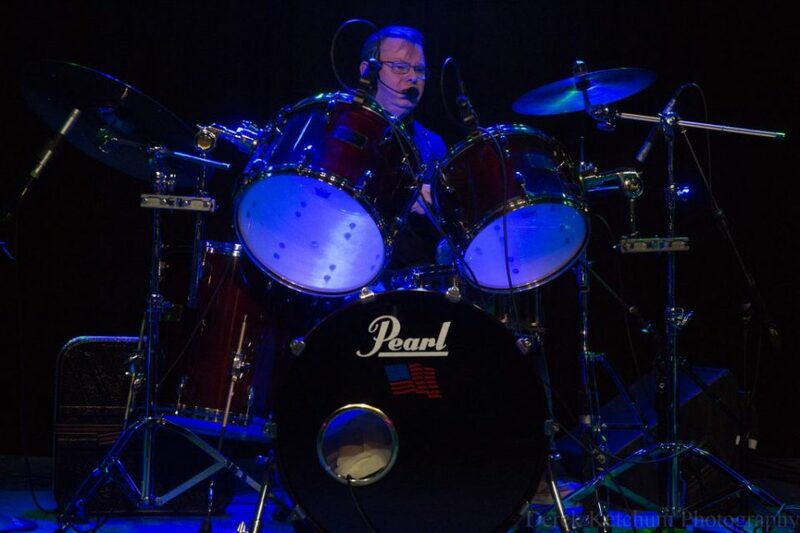 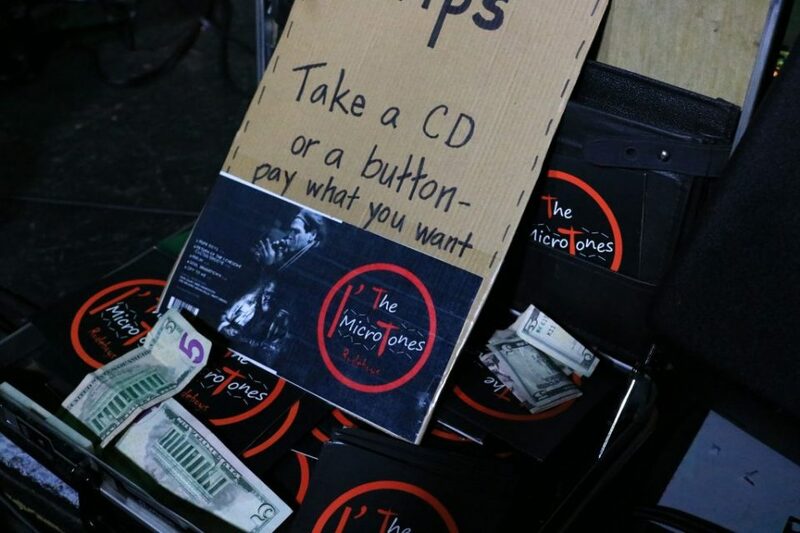 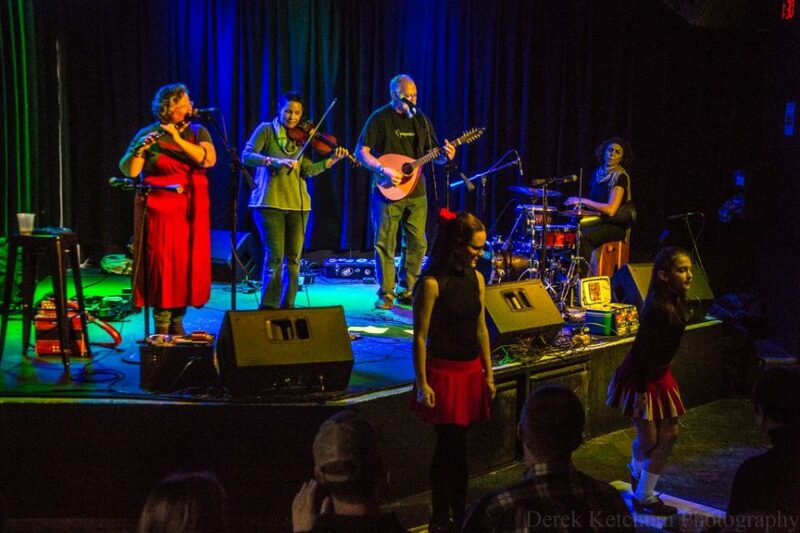 Story, photos and video highlights at Local Spins. 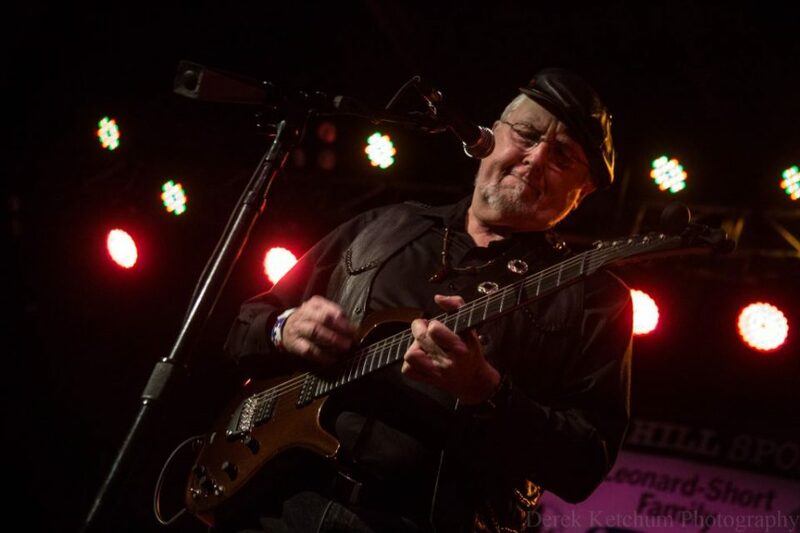 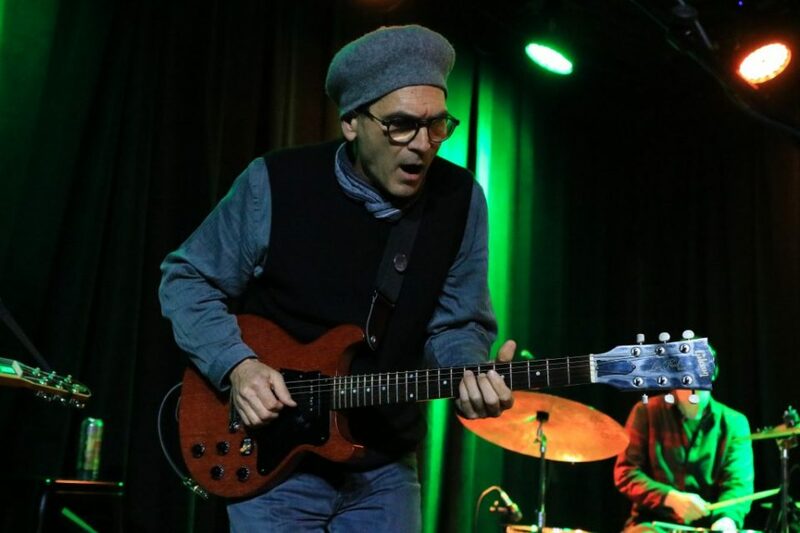 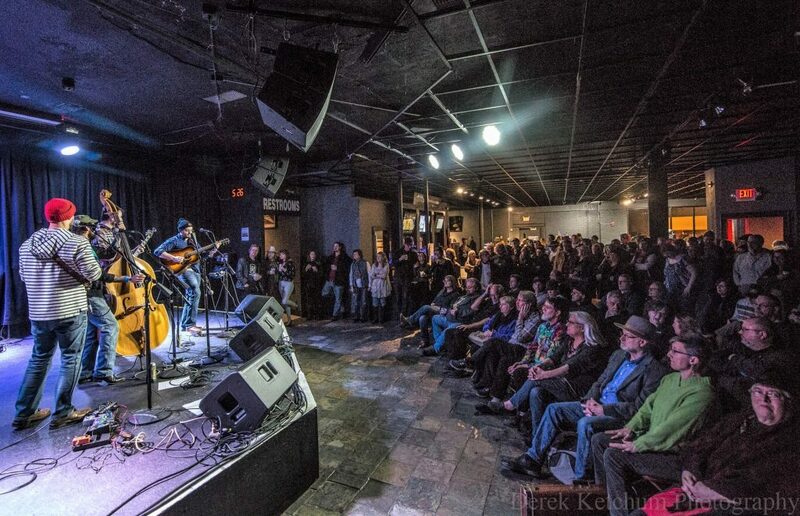 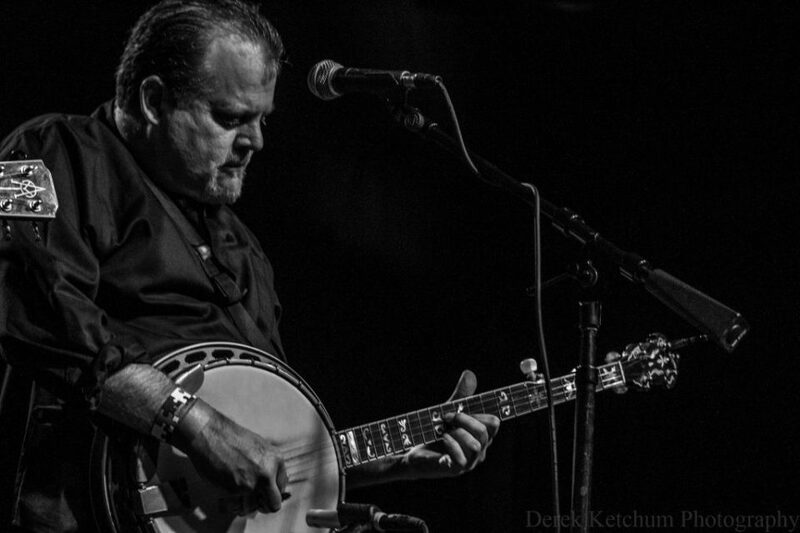 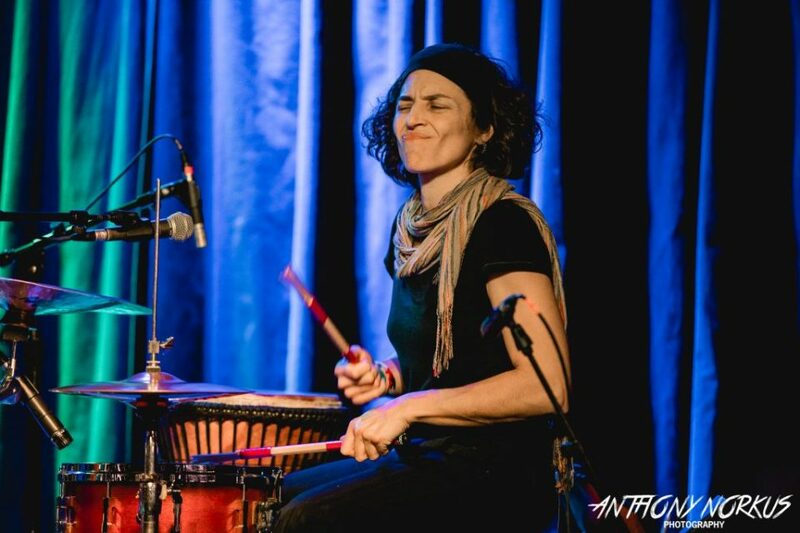 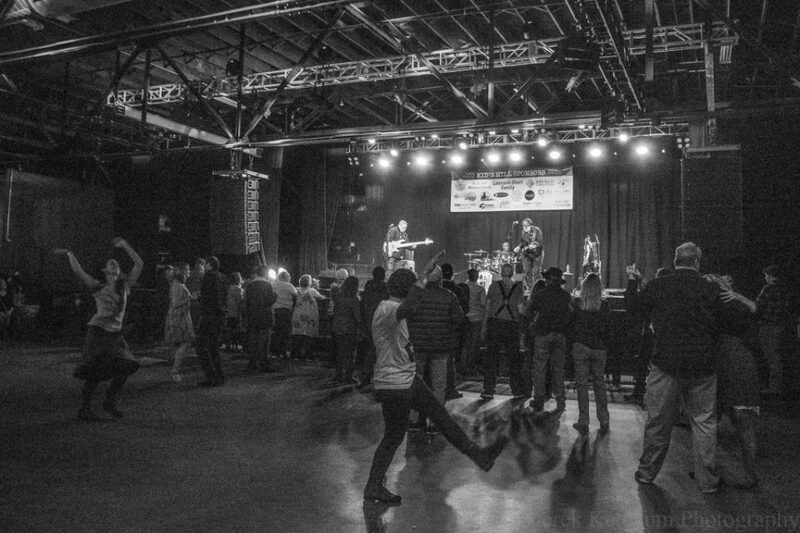 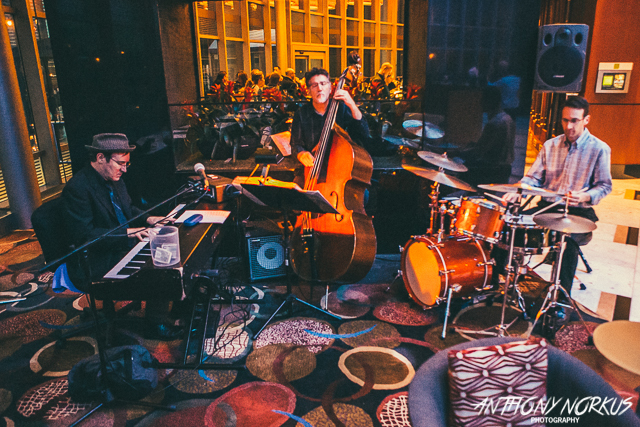 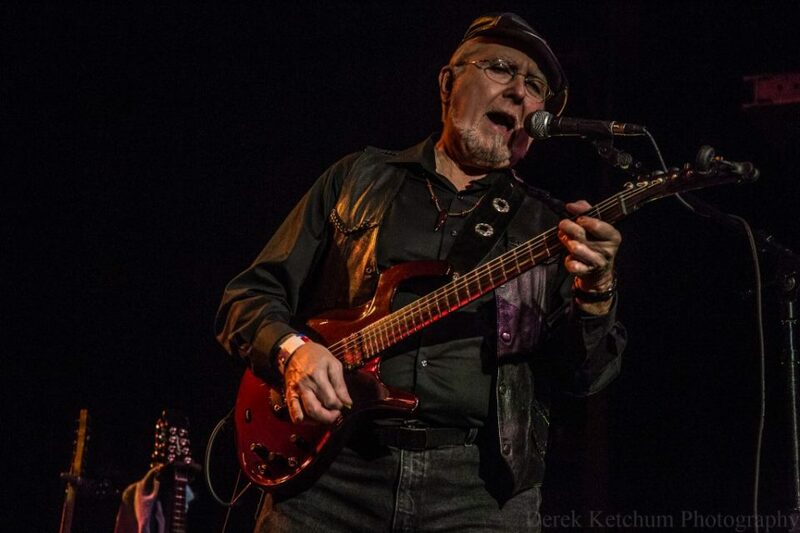 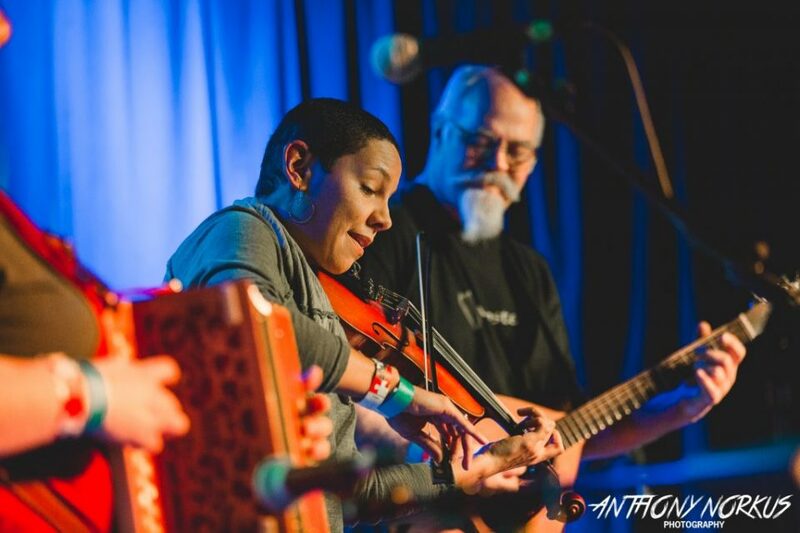 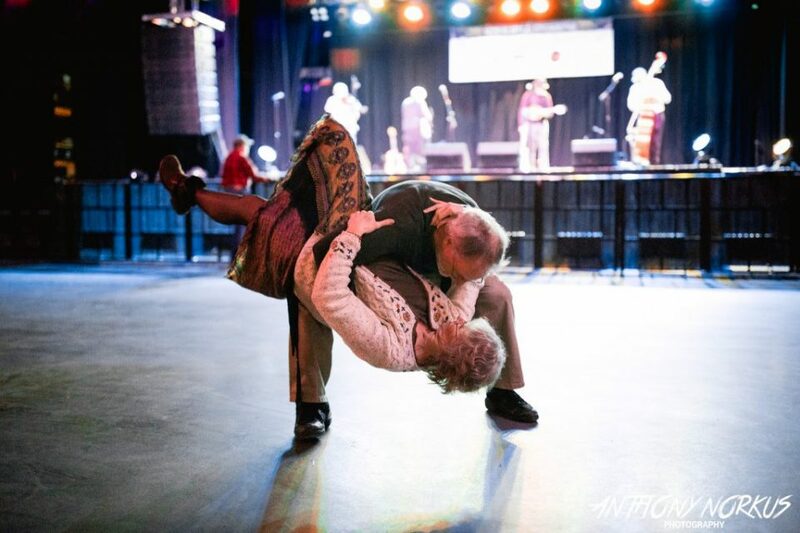 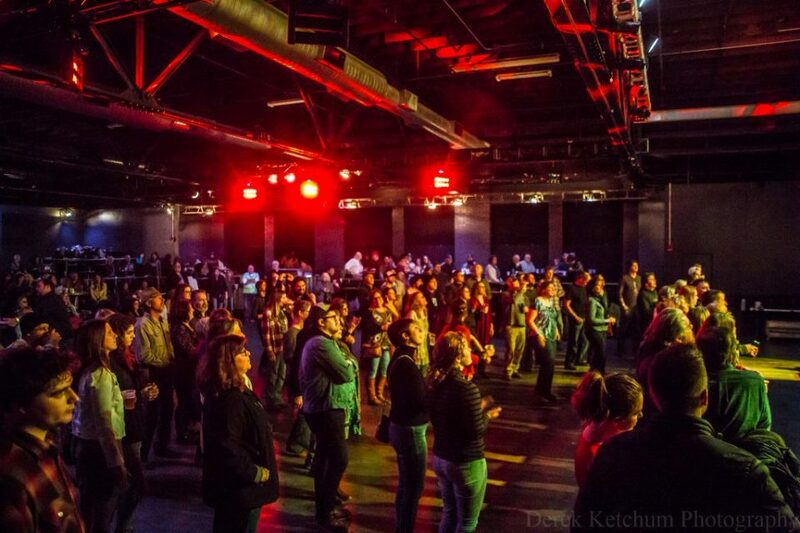 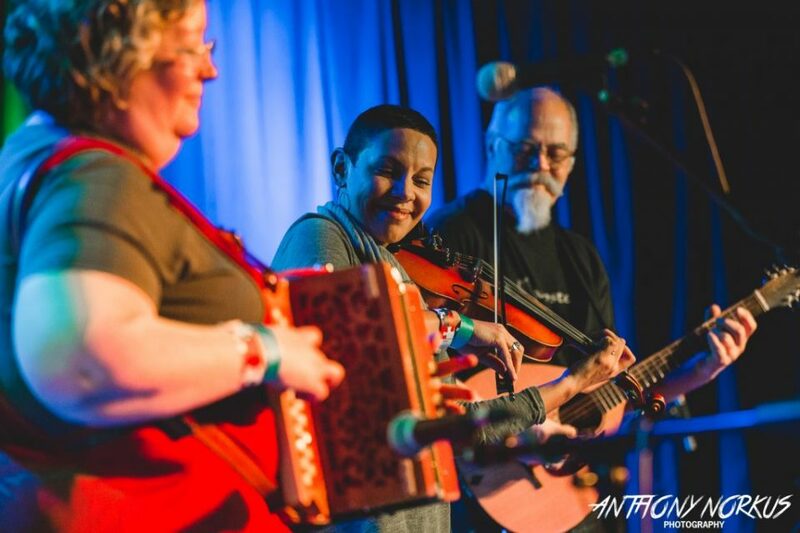 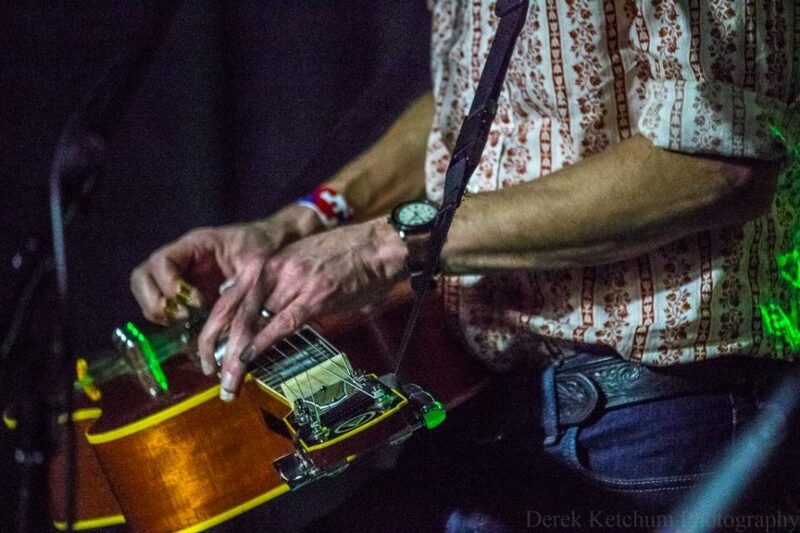 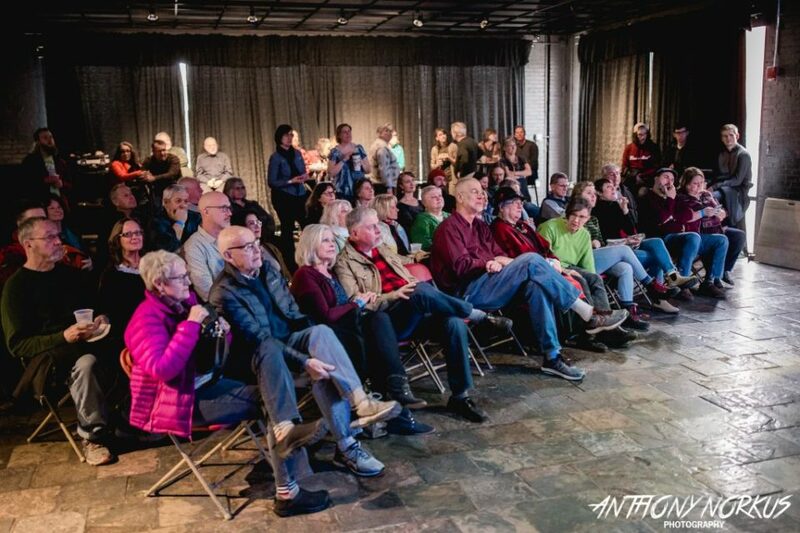 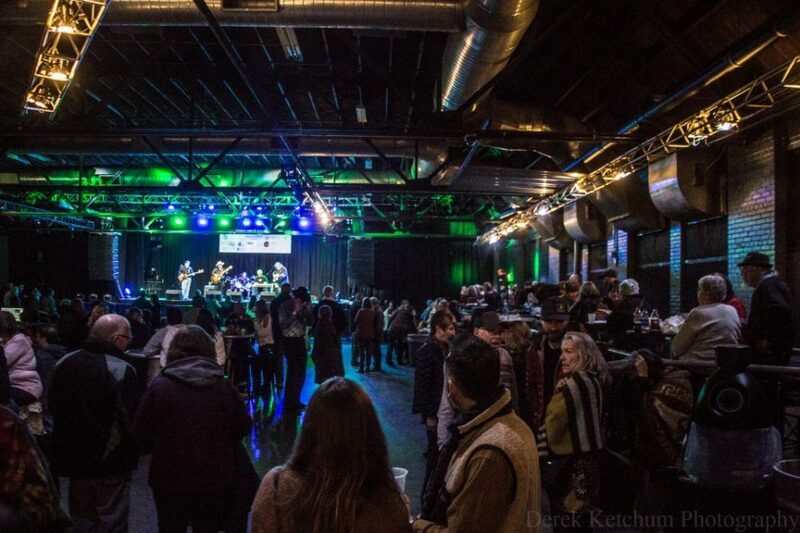 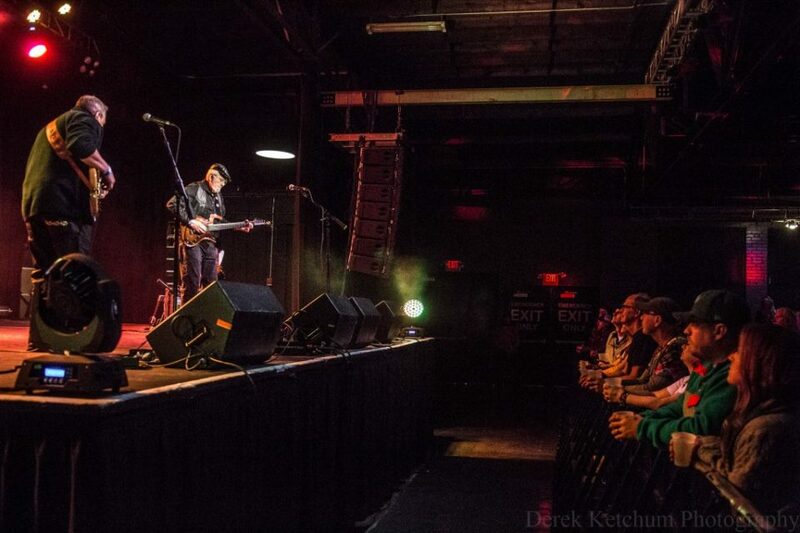 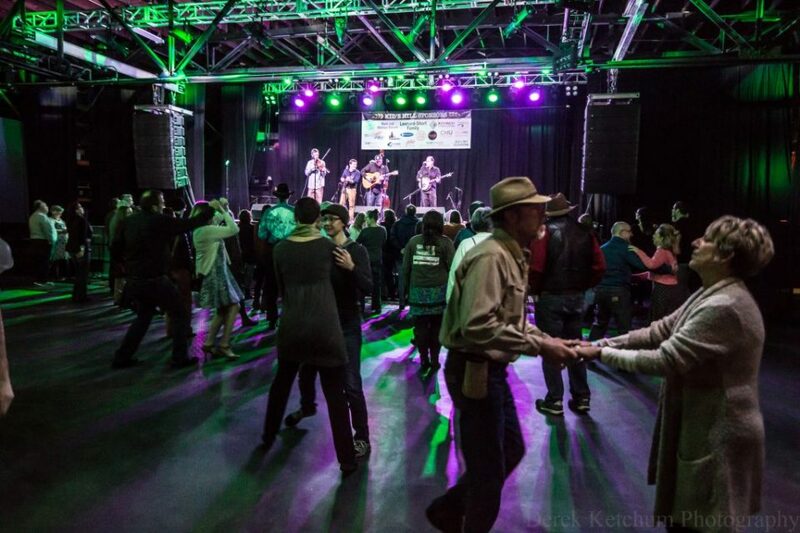 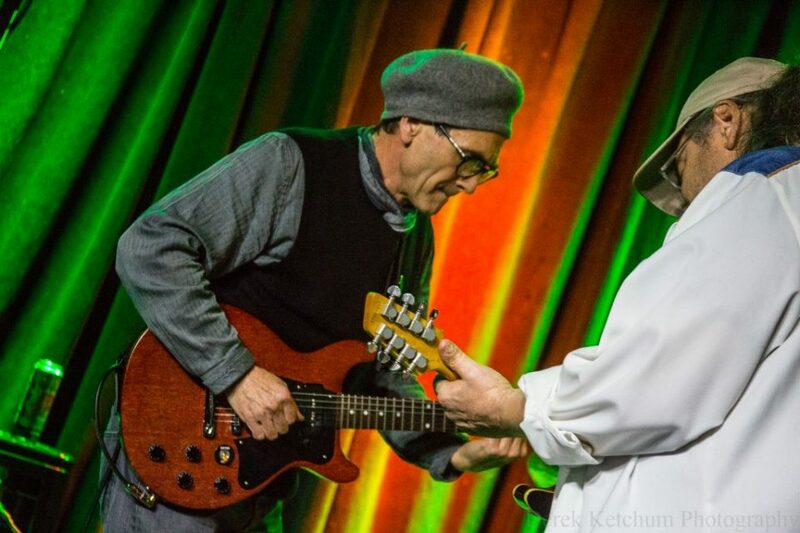 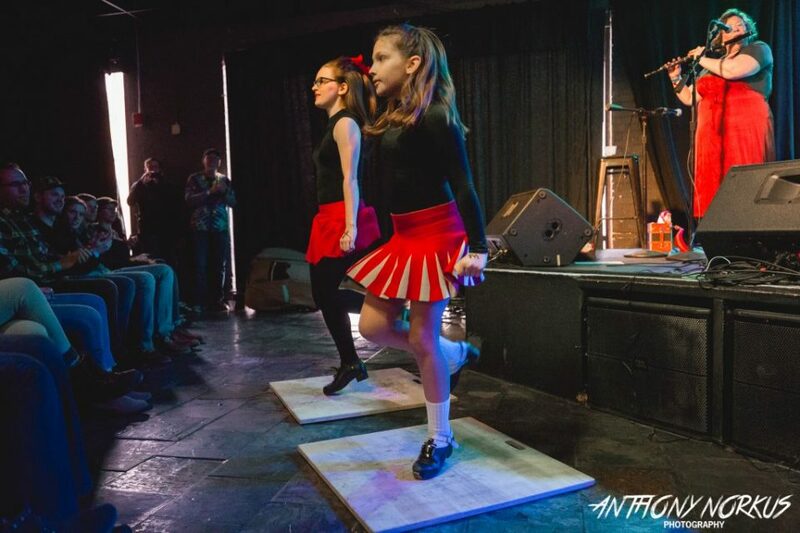 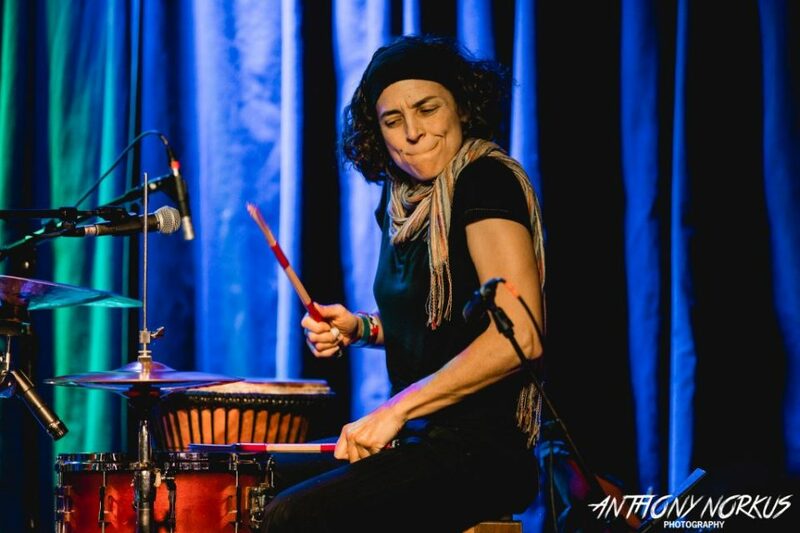 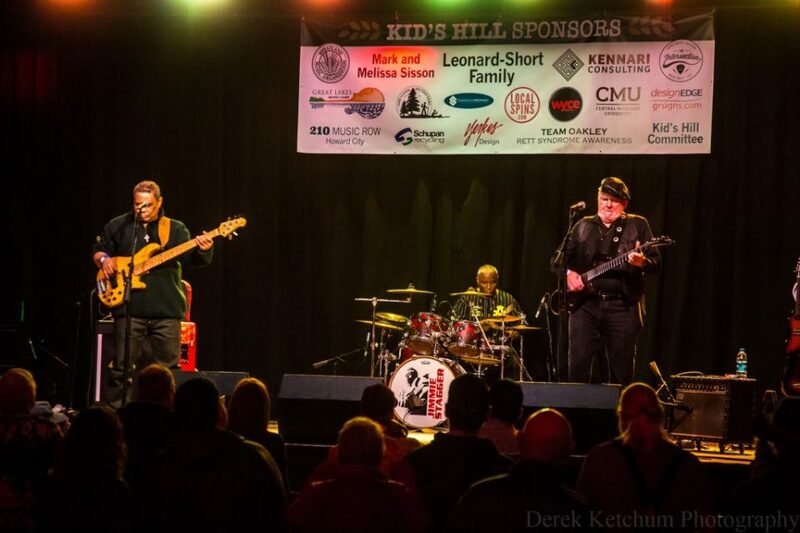 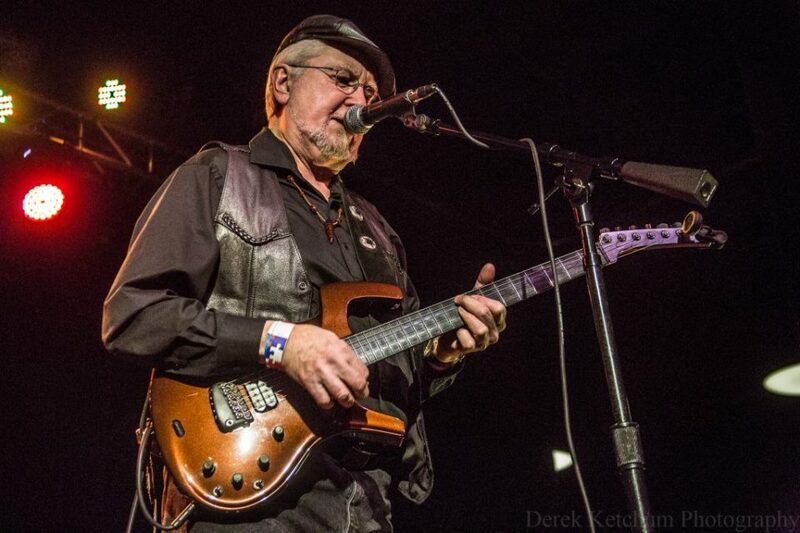 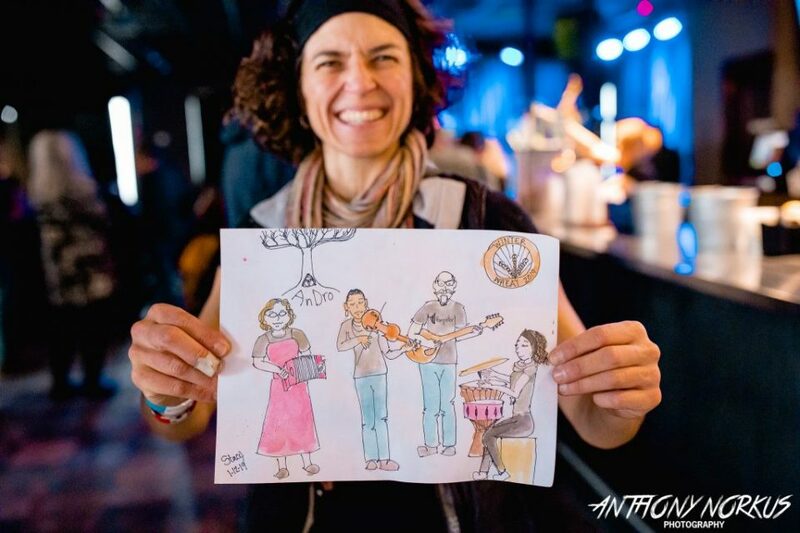 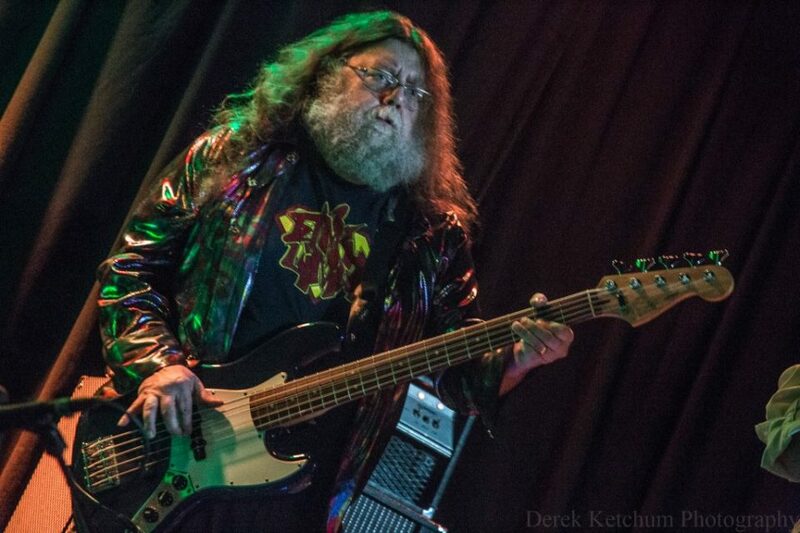 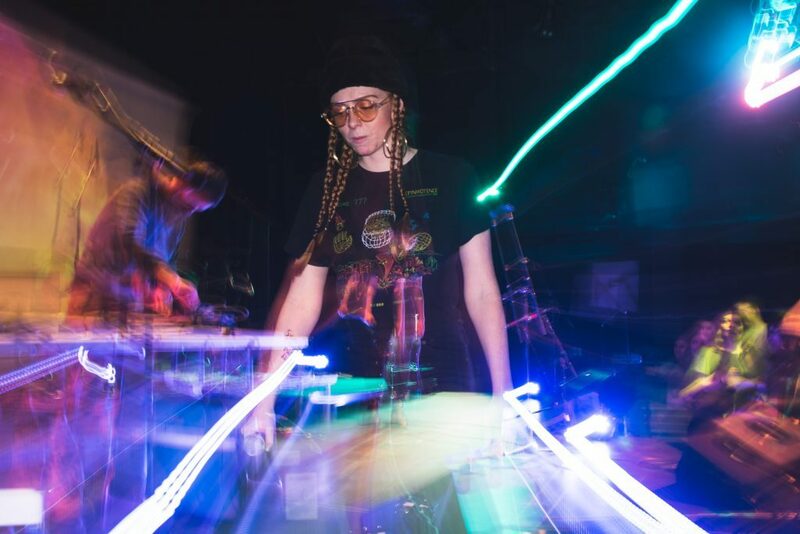 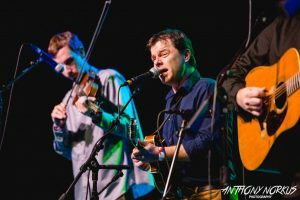 Soaking in all of the varied, roots music sets at Winter Wheat can be a challenge – albeit a fun one. 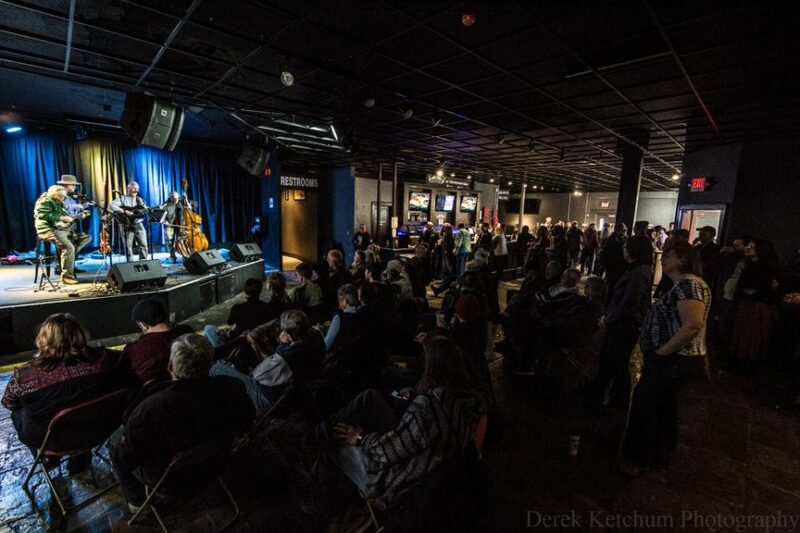 With more than a dozen bands playing two stages at The Intersection on Saturday, the 10th annual fundraiser for the Wheatland Music Organization amounted to a robust showcase of Michigan music, with hundreds of festival-goers wandering from stage to stage to catch everything from the Celtic charm of An Dro to the toe-tapping bluegrass of The Journeymen, The Hill People, Fauxgrass and others. And that was just the first few hours of the day-long event, which wound deep into the evening, thanks to the Cajun, dance-fueled assault of K. Jones & the Benzie Playboys, the newgrass of the Mark Lavengood Band, the outlaw country of The Bootstrap Boys, and finally, straddling midnight, the “crabgrass” revelry of eastern Michigan’s Black Jake & The Carnies. 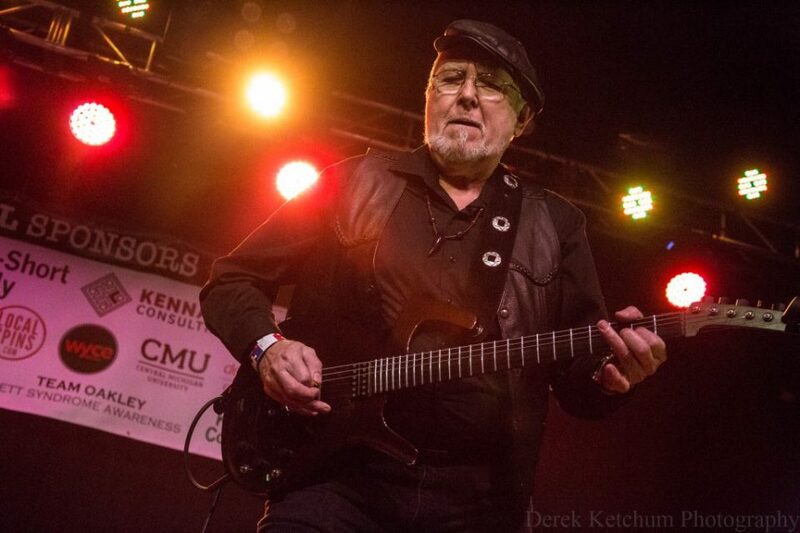 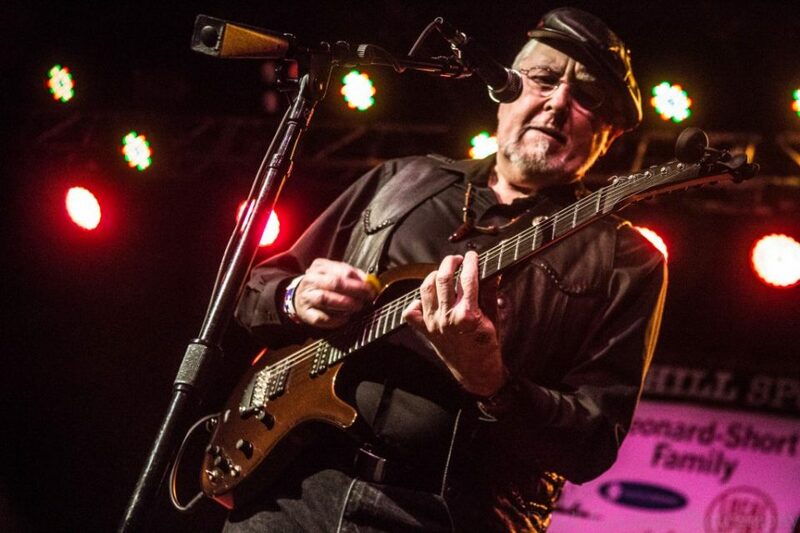 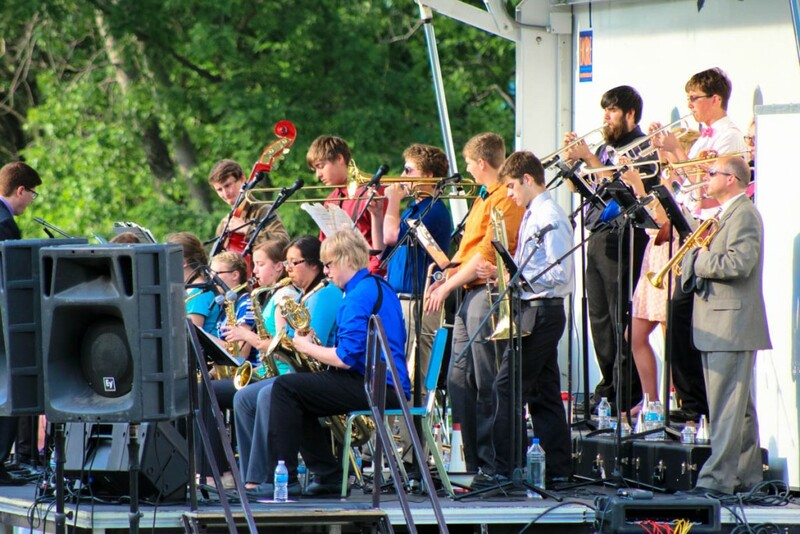 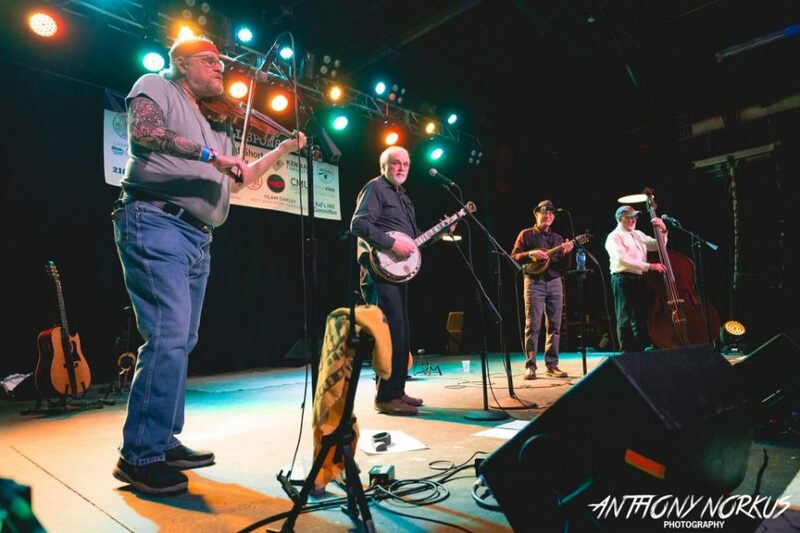 One of the event organizers, R.H. “Bear” Berends of Blue Water Ramblers, said this year’s Winter Wheat aimed to “tie in local groups and Wheatland groups,” giving concertgoers a taste of the annual Wheatland Music Festival that takes place in September as well as some regional favorites. 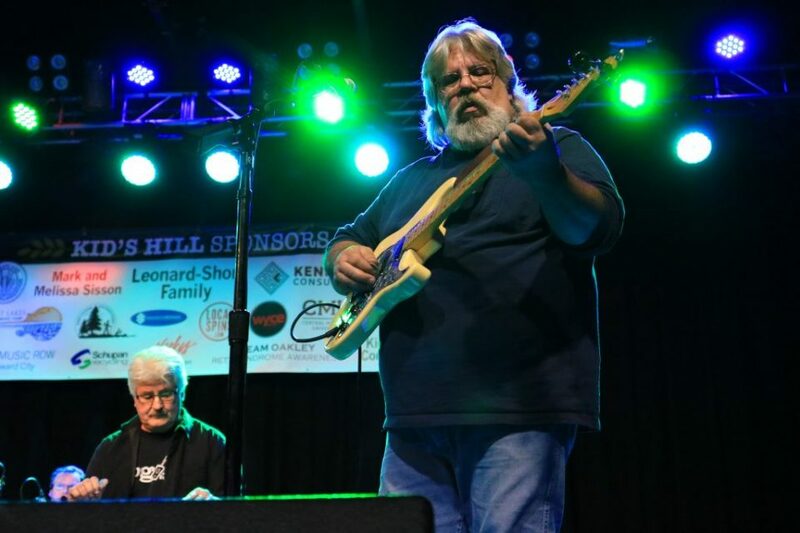 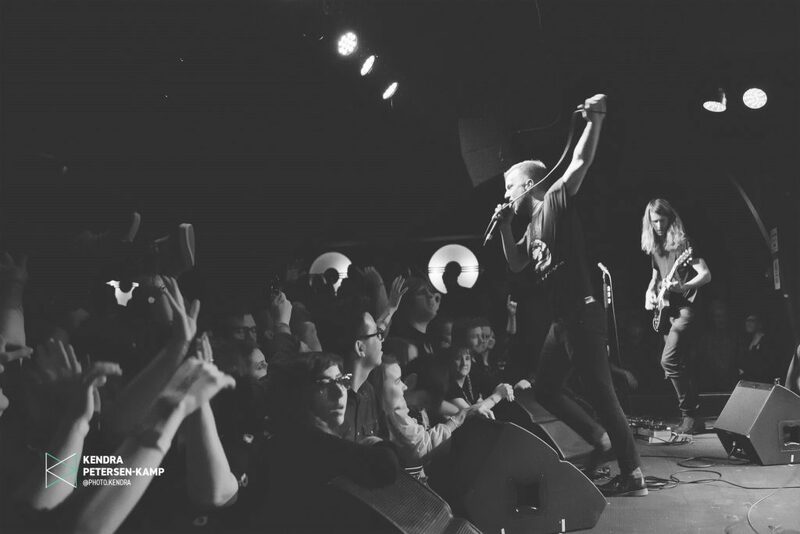 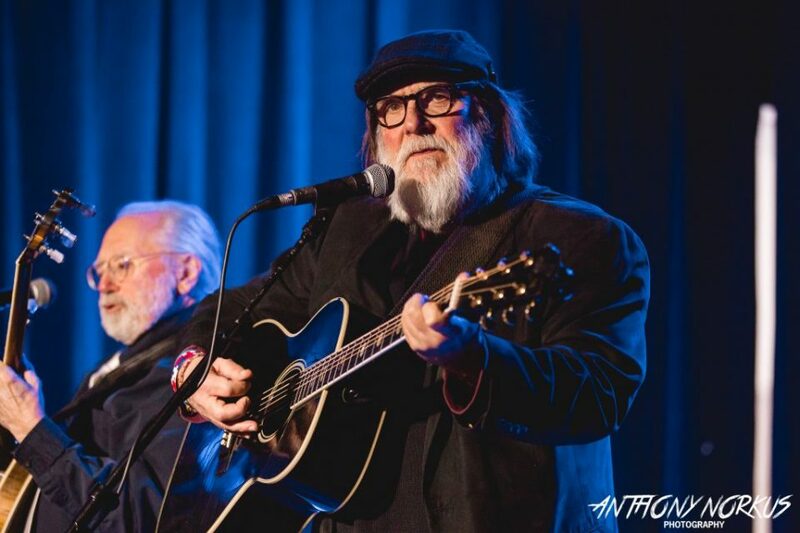 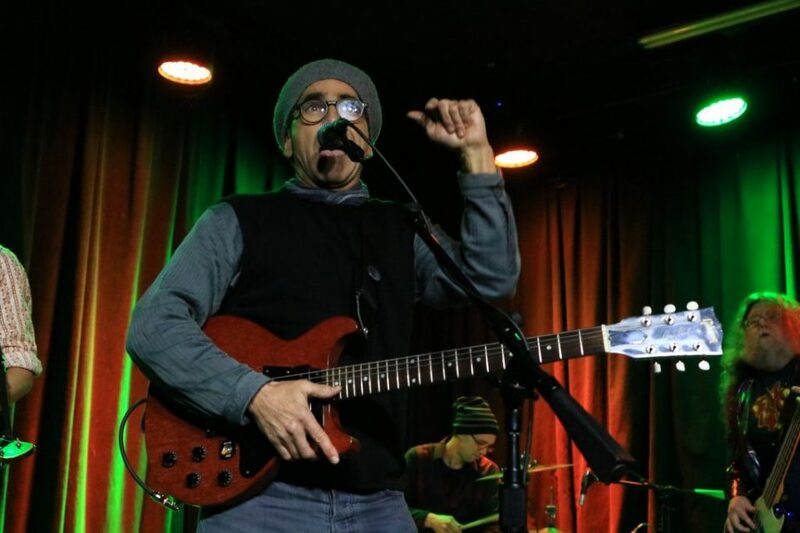 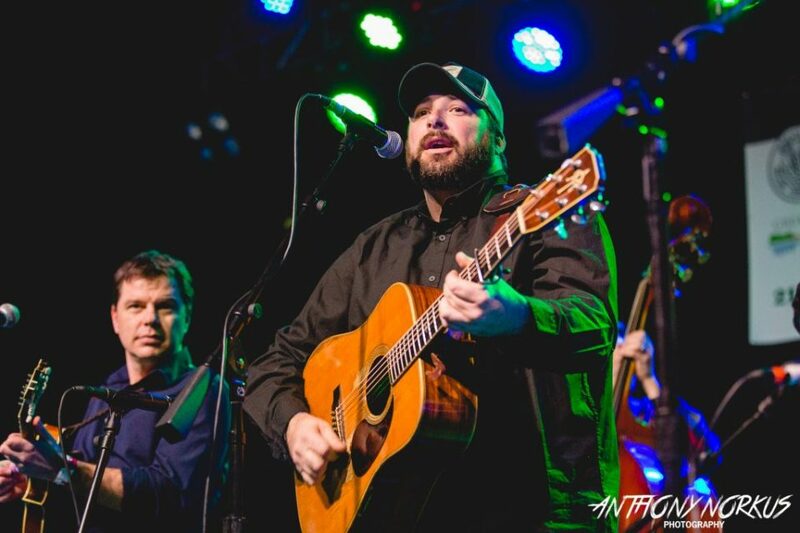 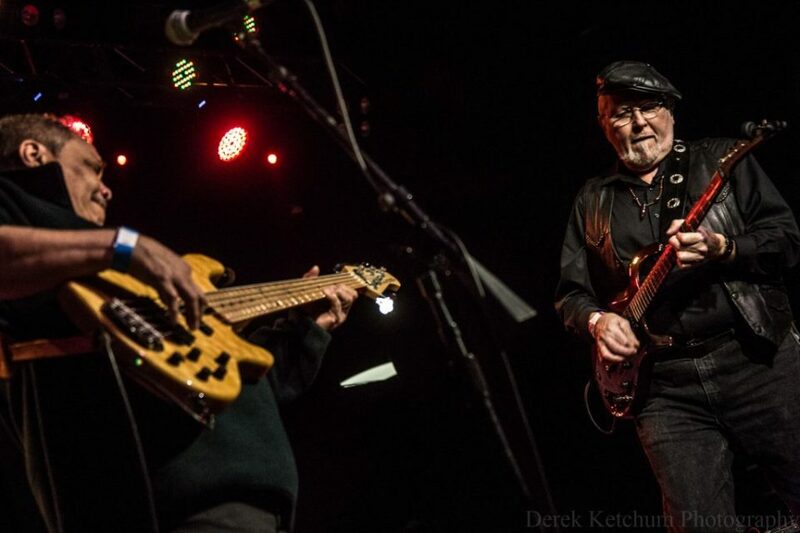 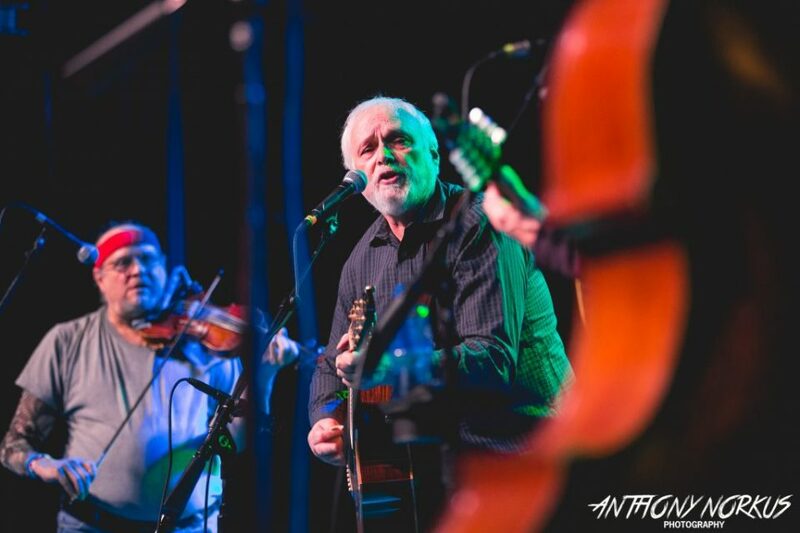 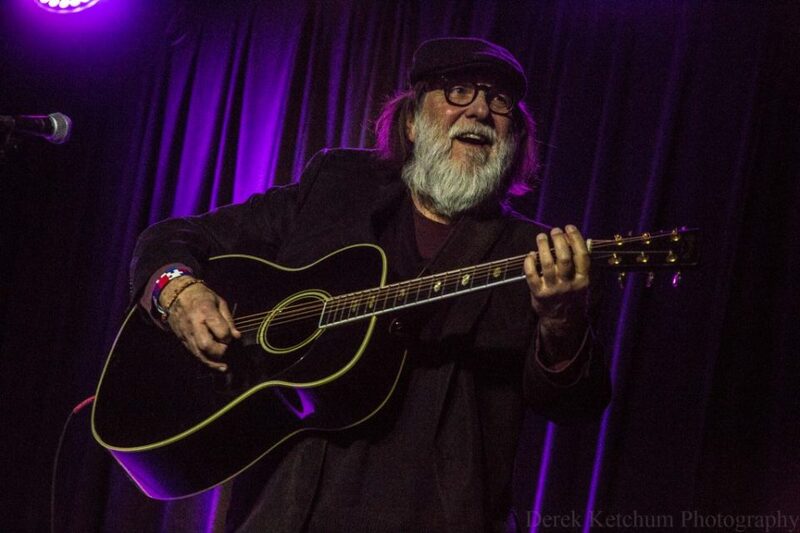 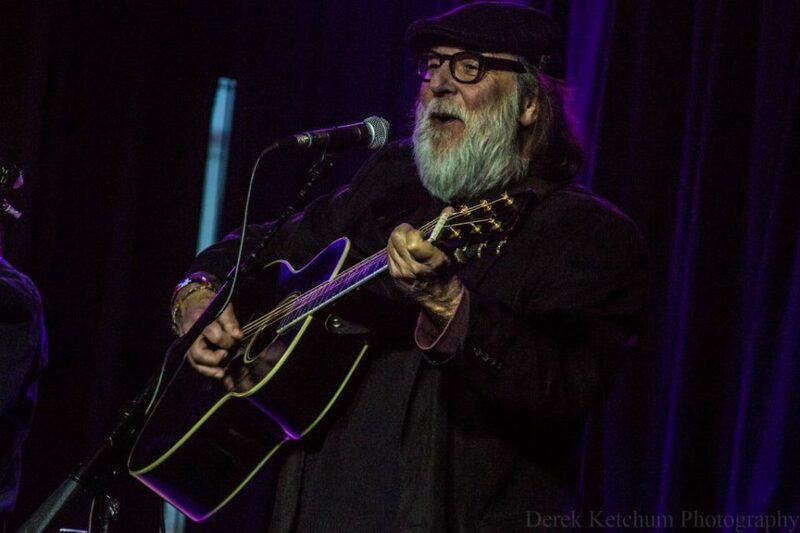 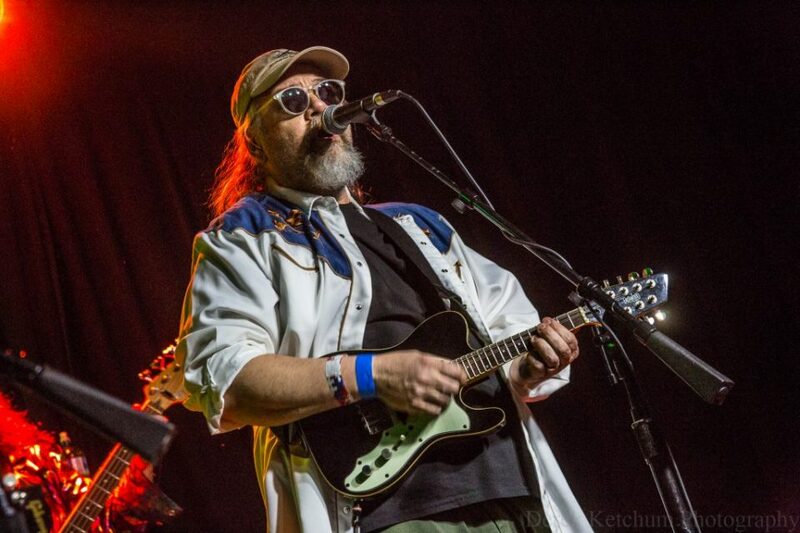 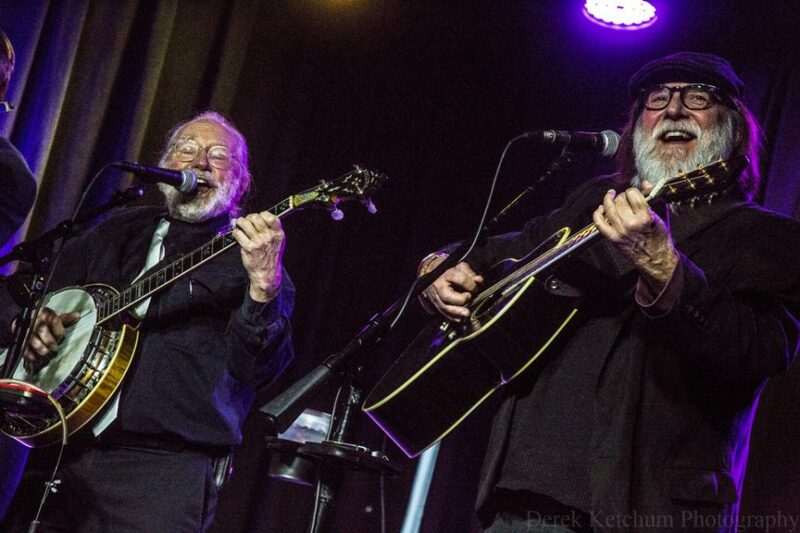 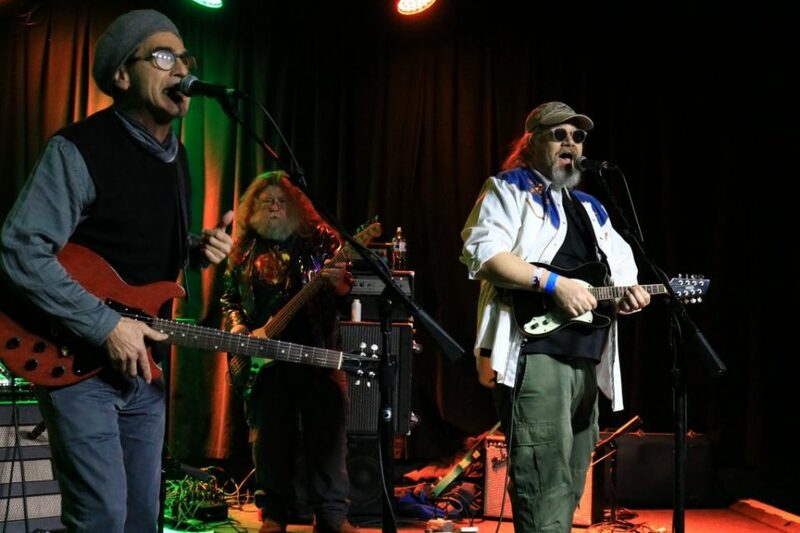 Those regional faves included The Hill People, who recently reunited after two decades and did “a good job of getting their old fans out” early for their Winter Wheat-starting set on the main stage, he said. 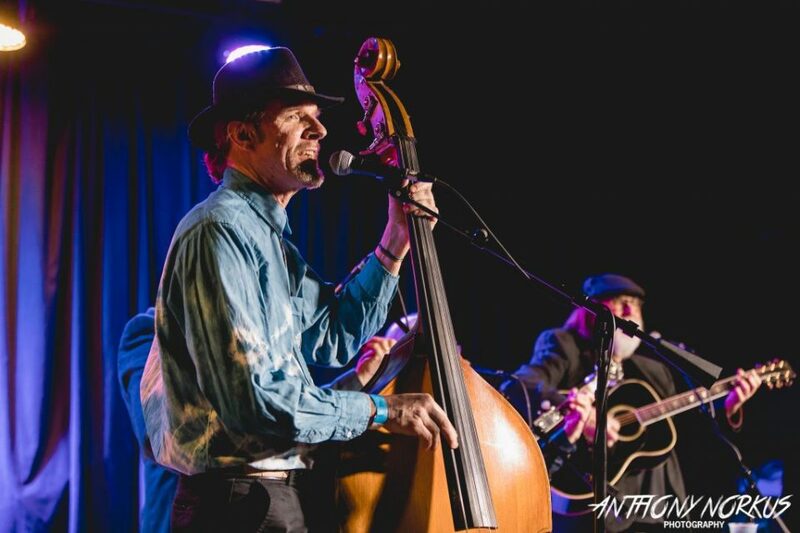 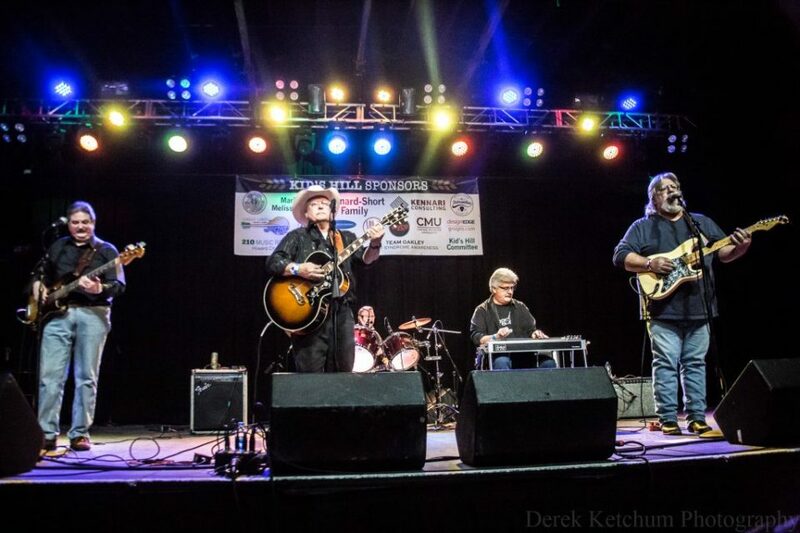 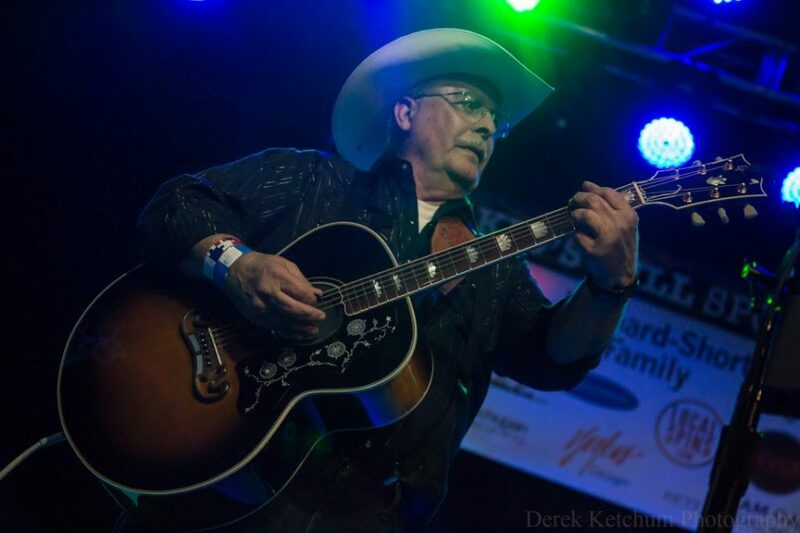 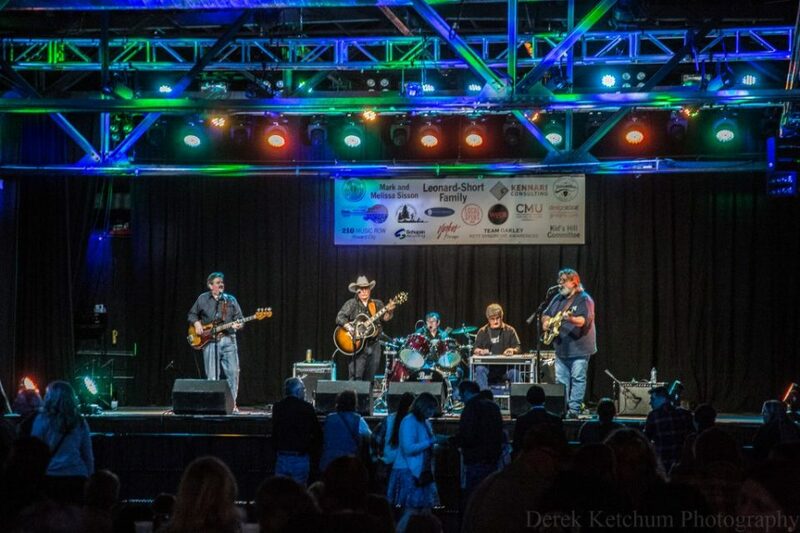 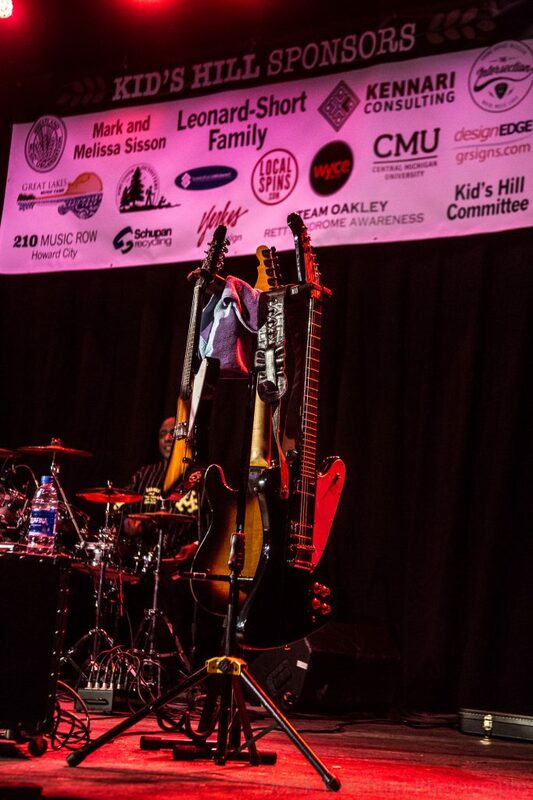 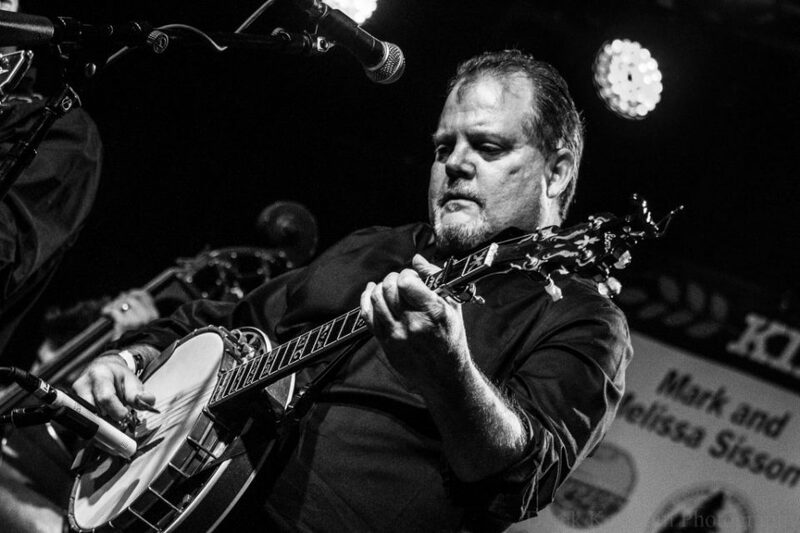 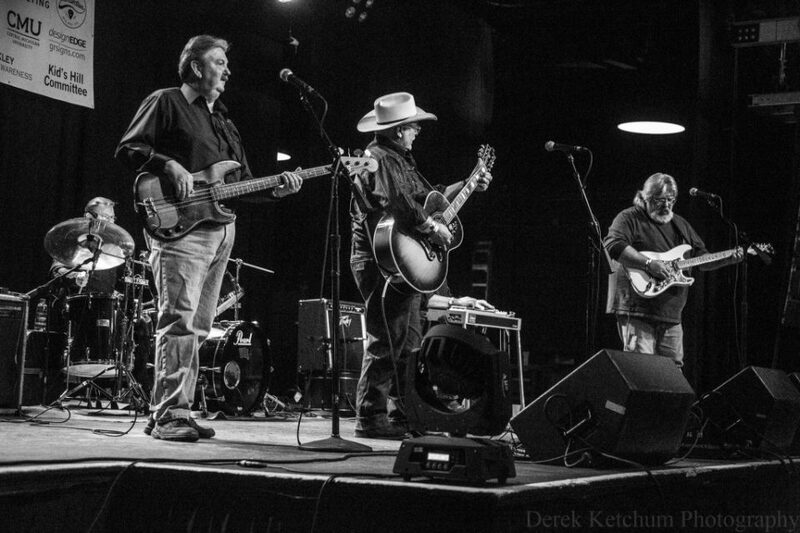 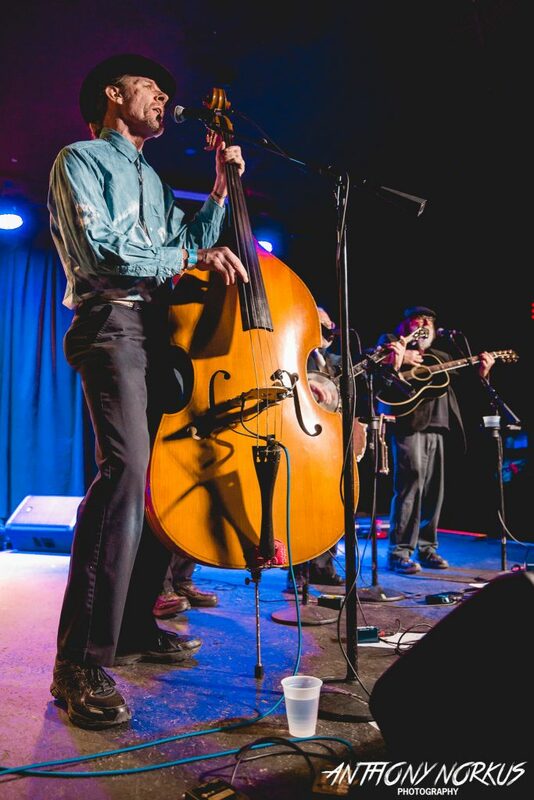 And for younger acts such as The Bootstrap Boys, who ooze a vintage country vibe, it offered an opportunity to get acquainted with veteran players from across the state. 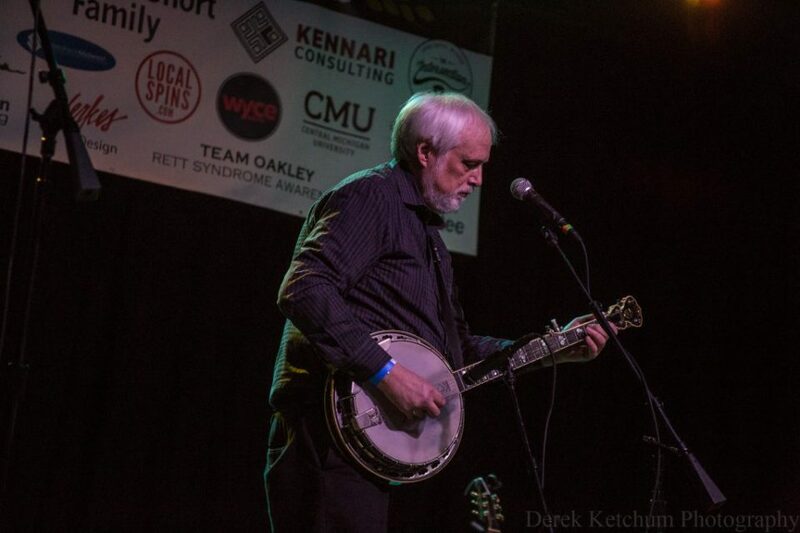 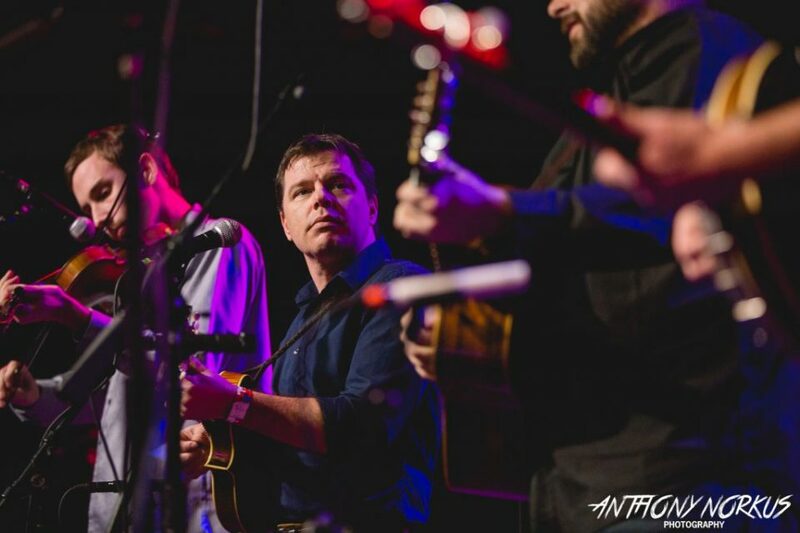 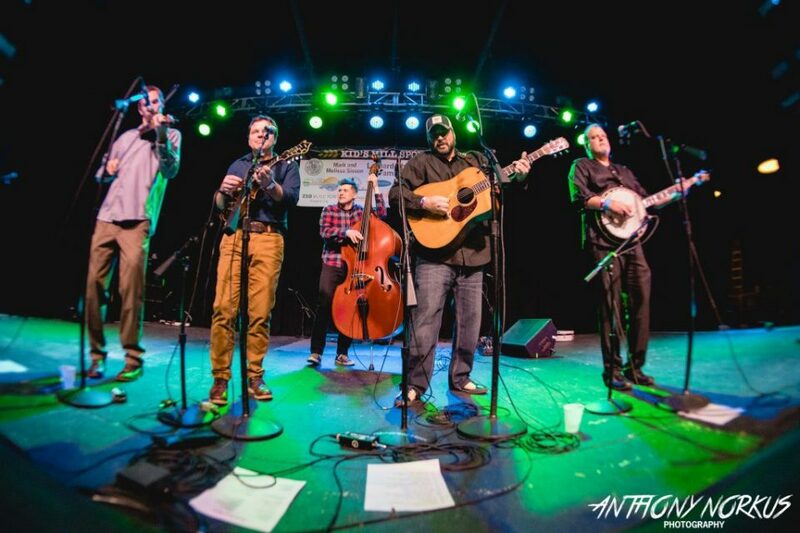 The day-long event – boasting nearly 12 hours of music – offered many special moments and performances, including the official CD-release for the self-titled debut album by West Michigan’s The Journeymen, who delivered a lively, harmony-filled set of bluegrass and classic country on the main stage. 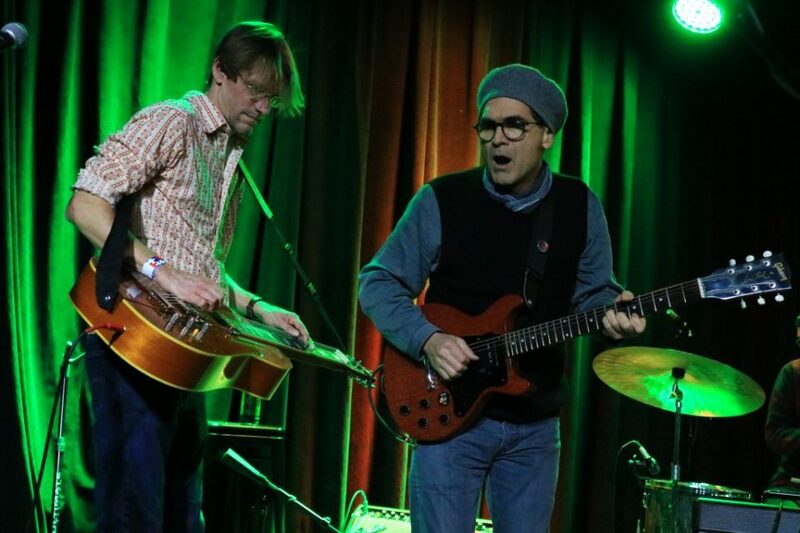 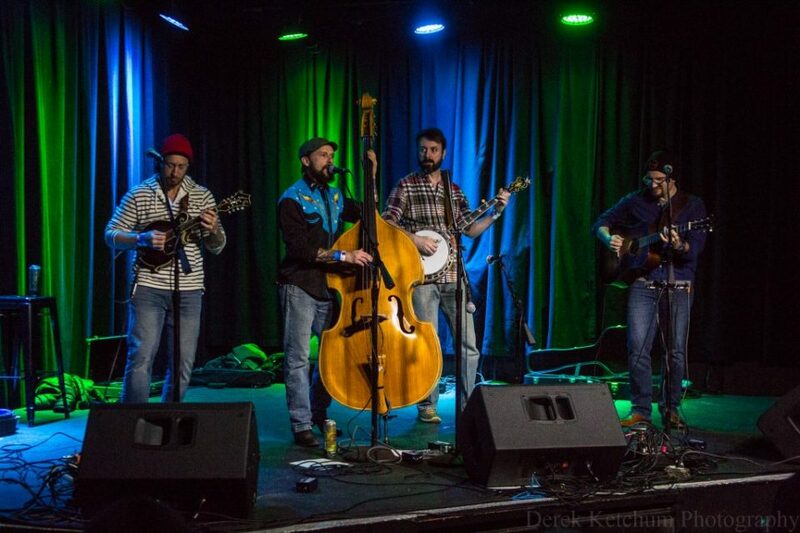 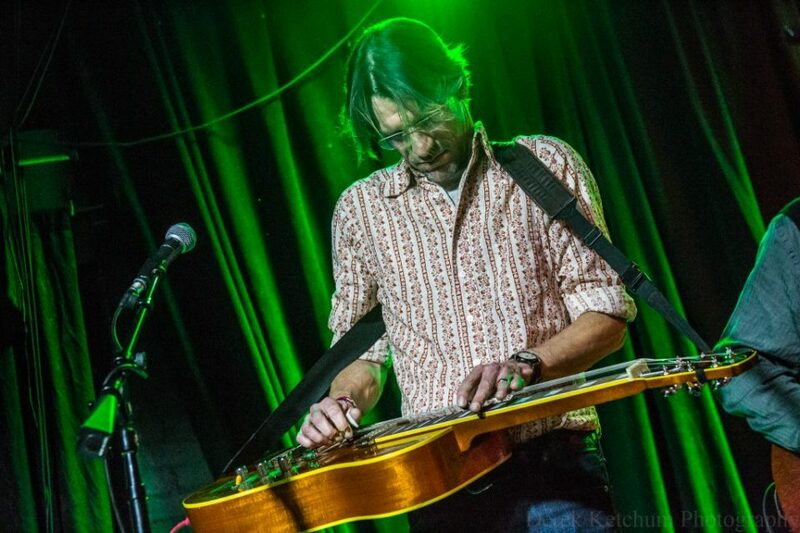 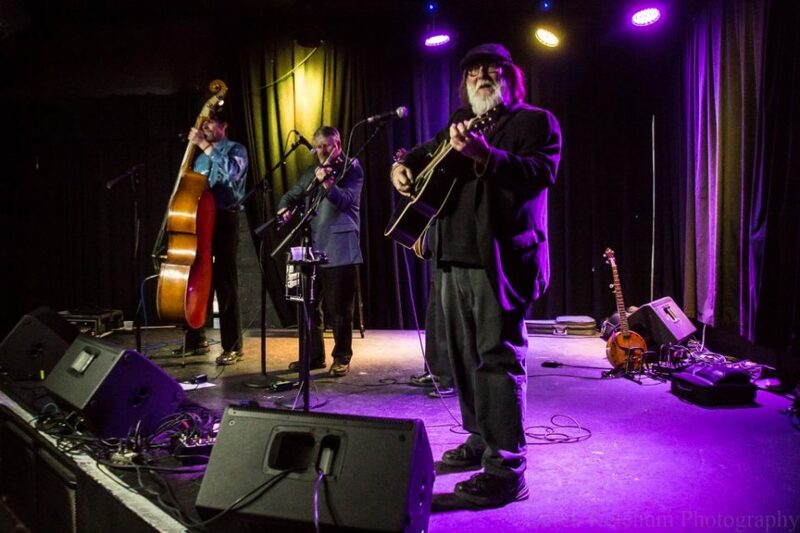 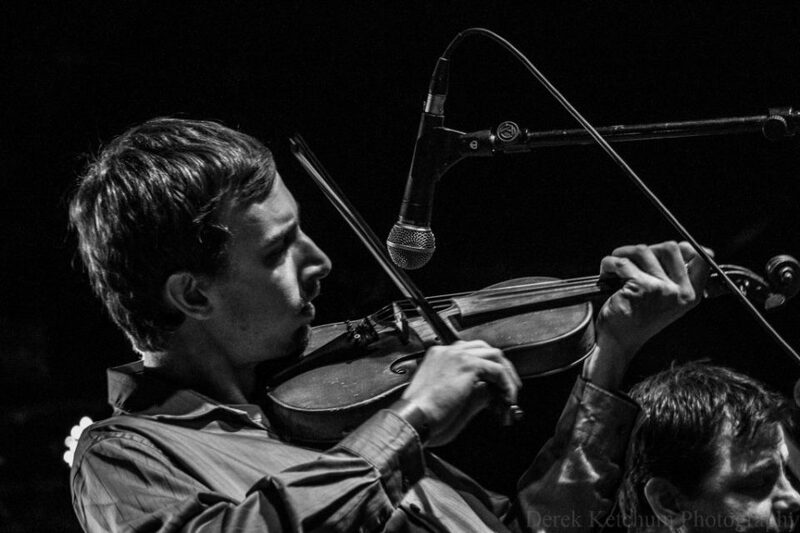 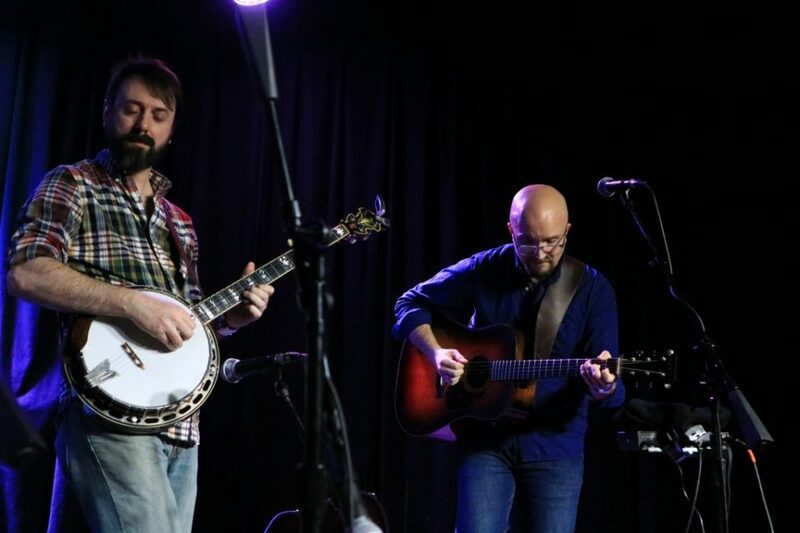 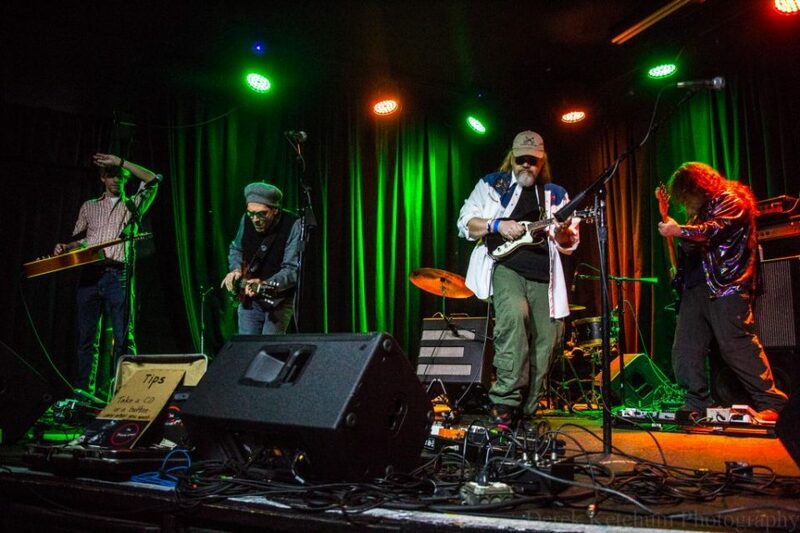 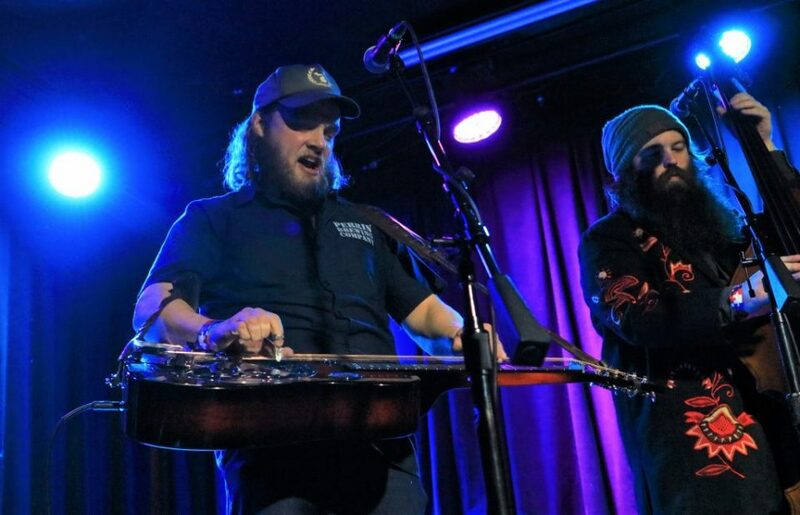 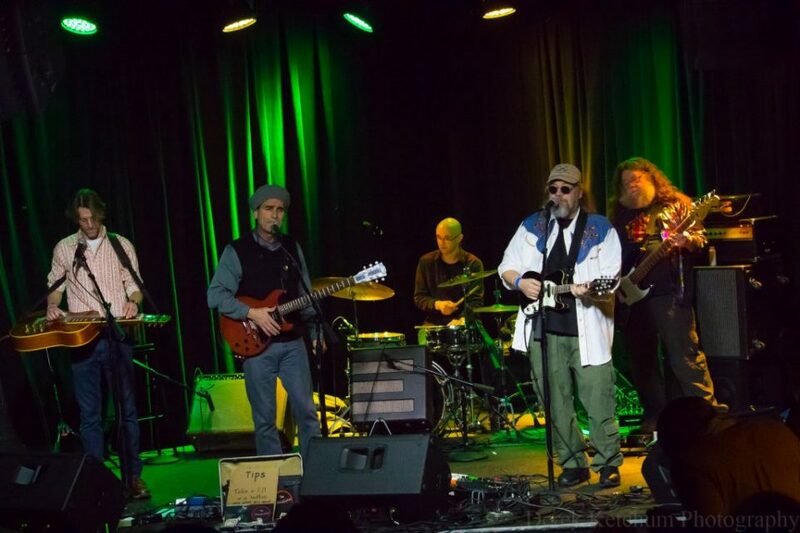 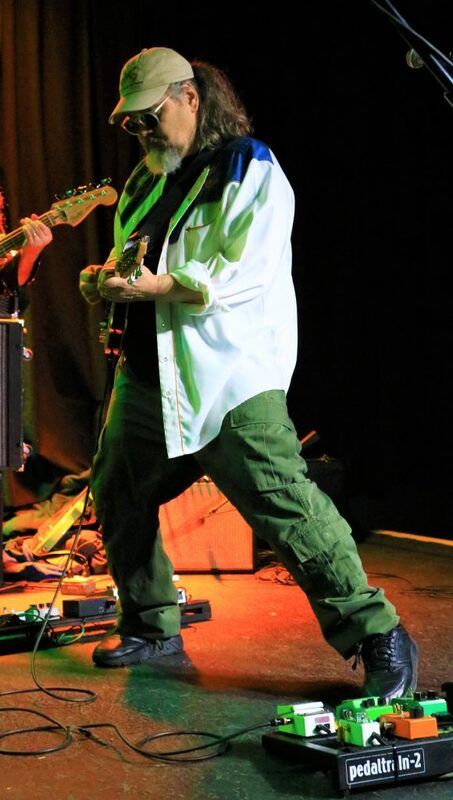 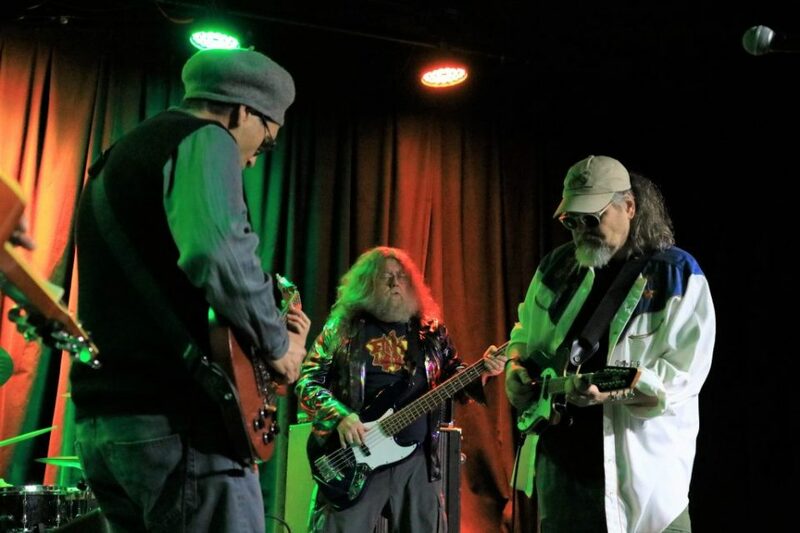 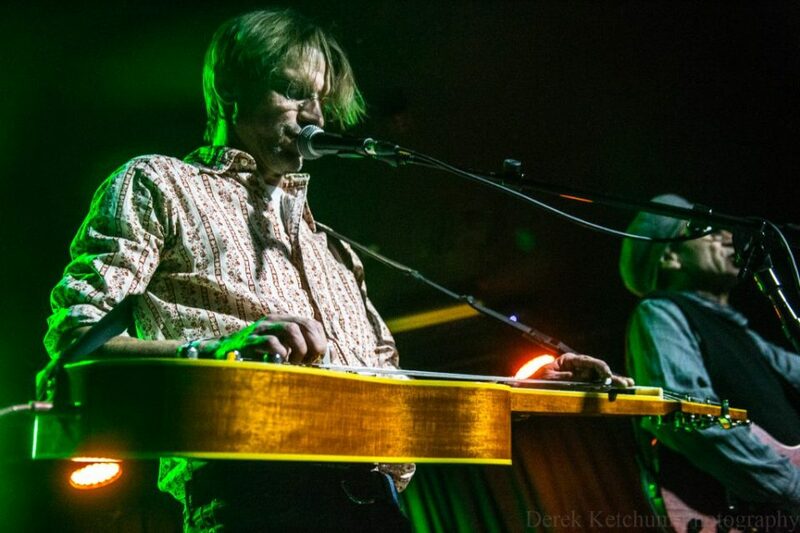 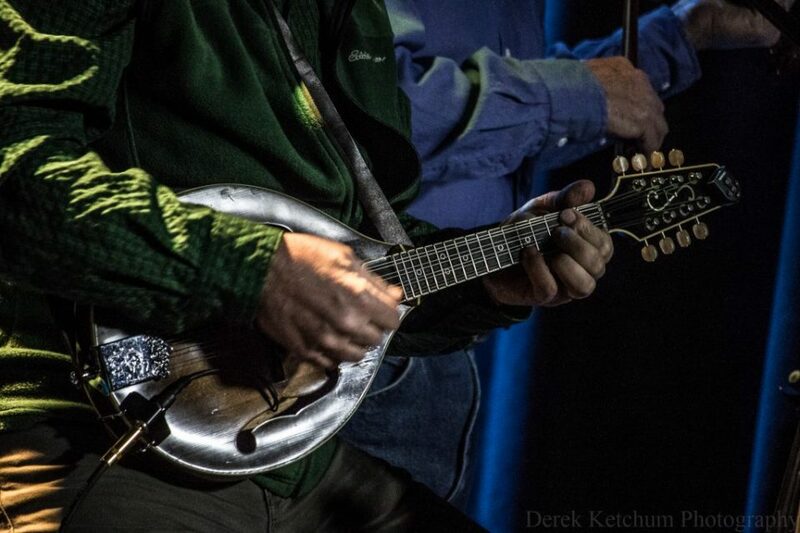 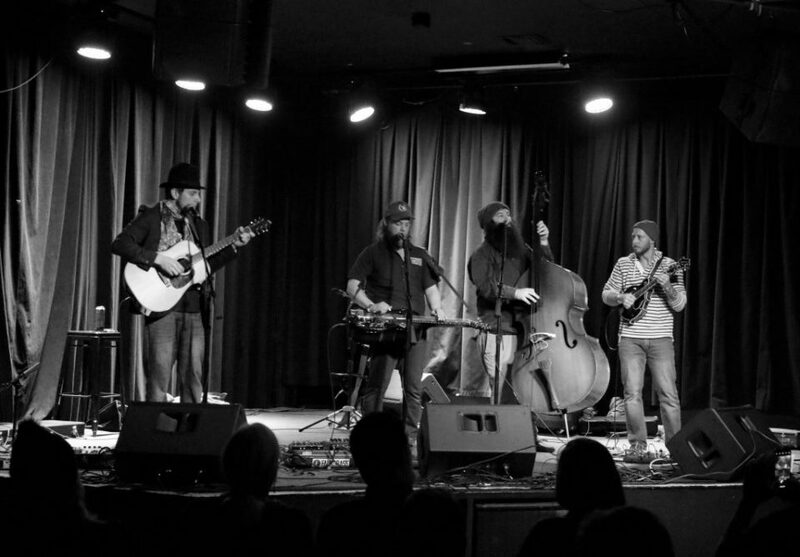 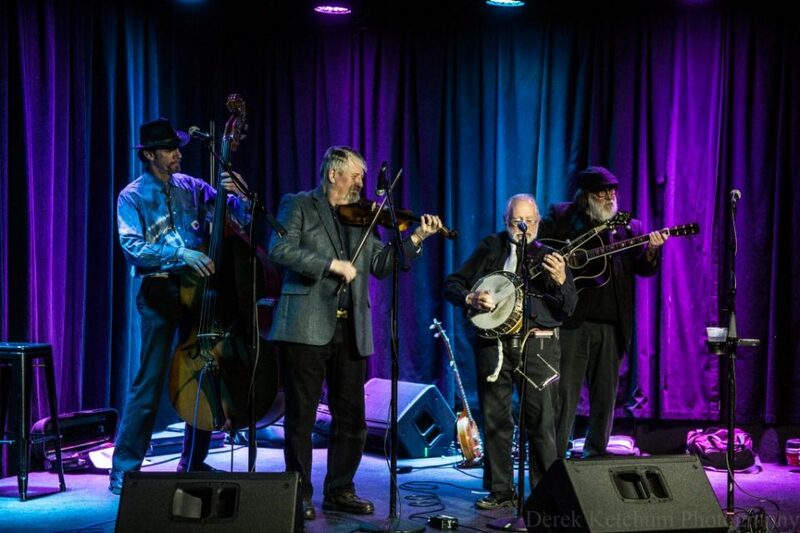 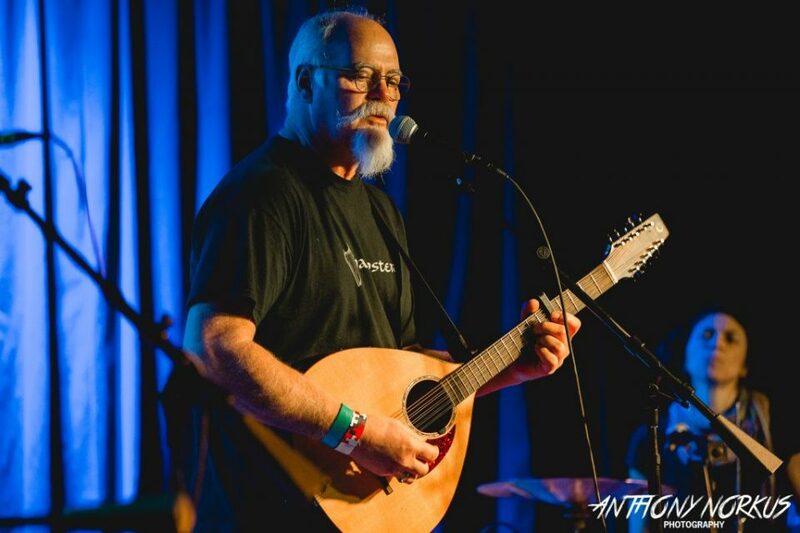 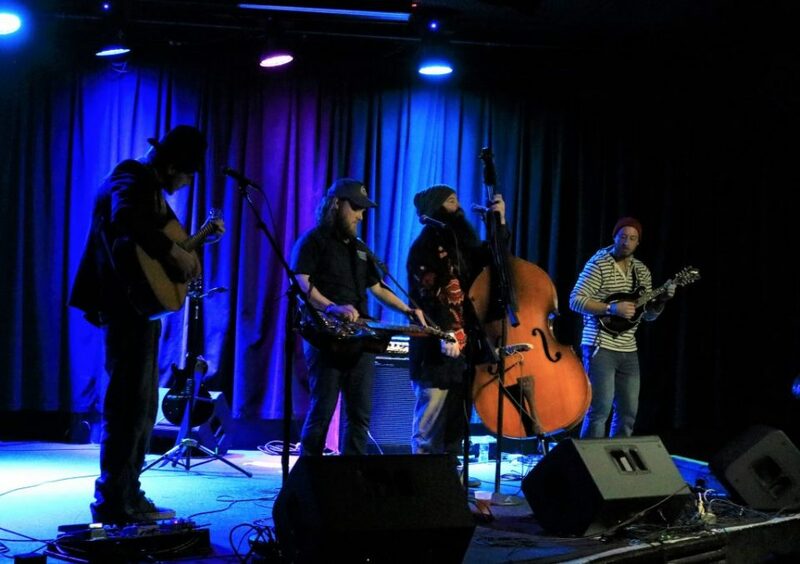 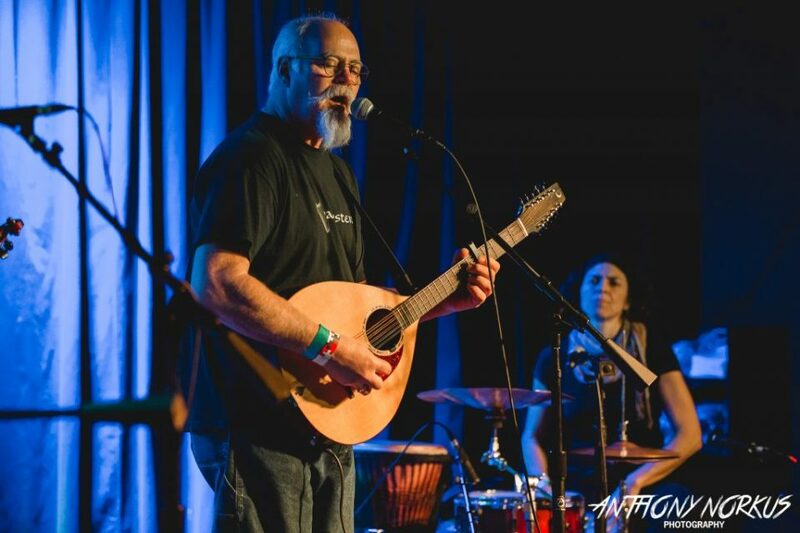 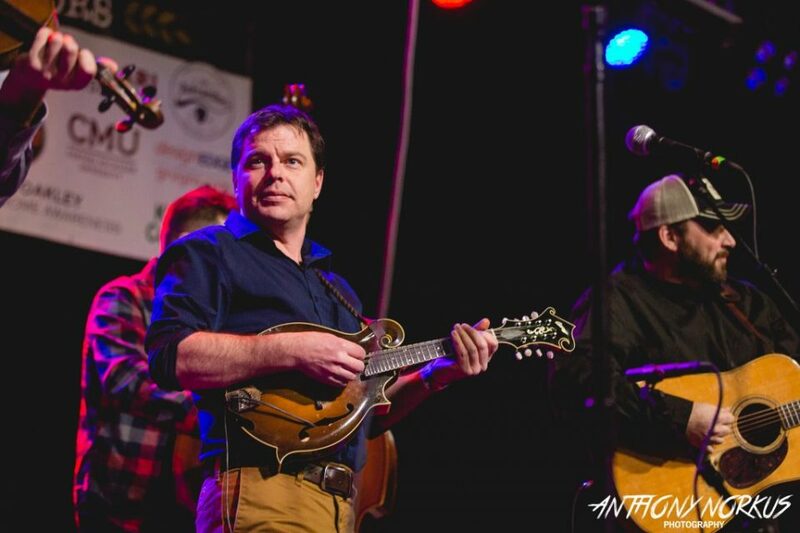 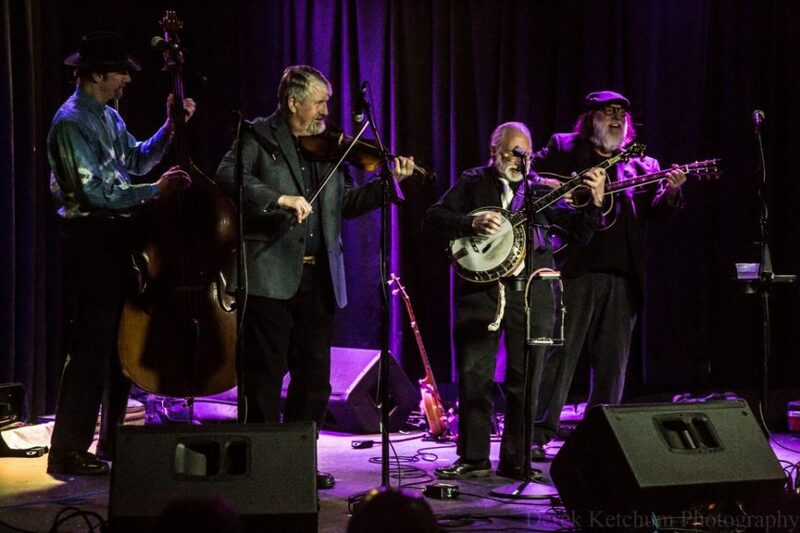 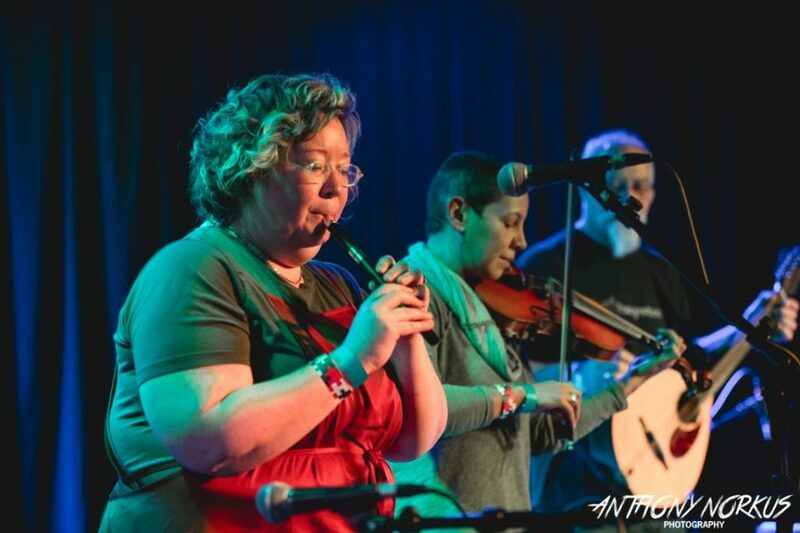 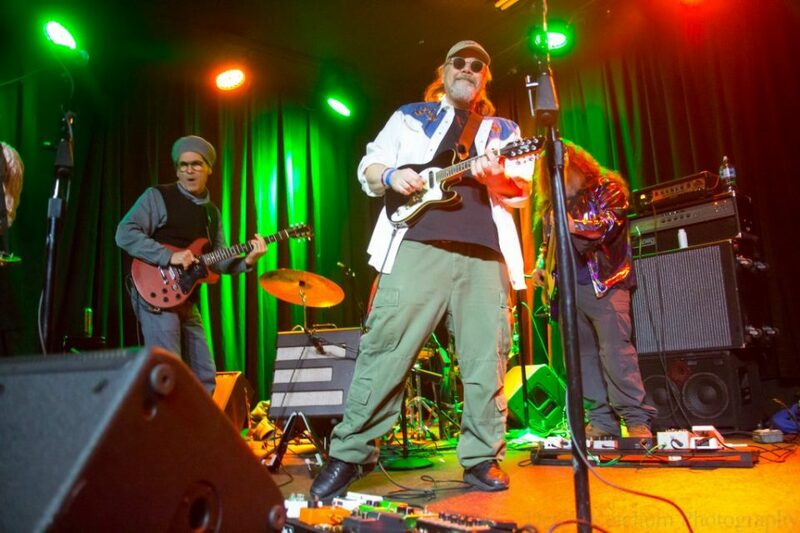 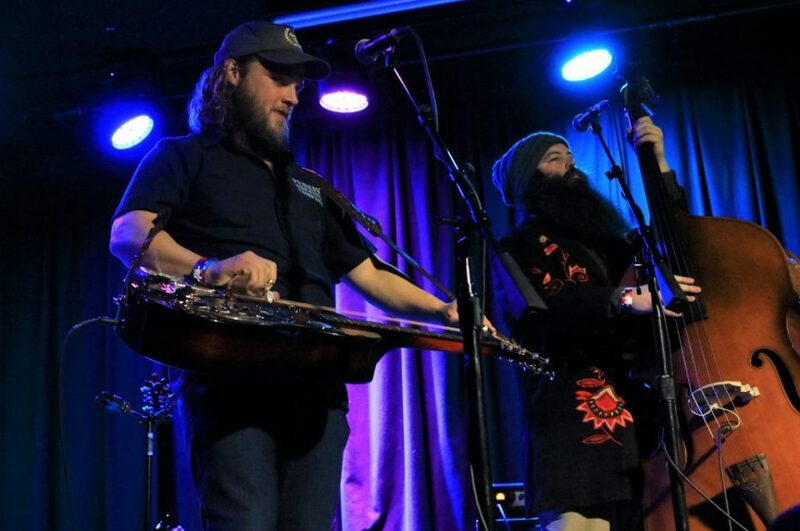 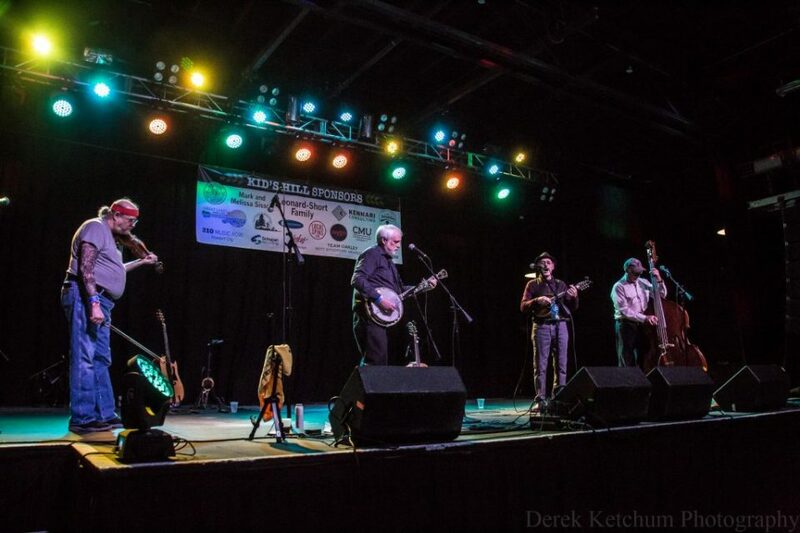 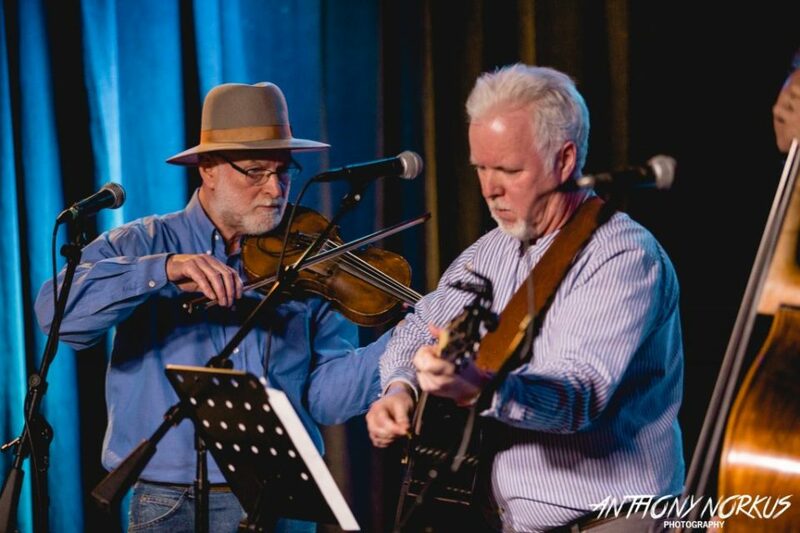 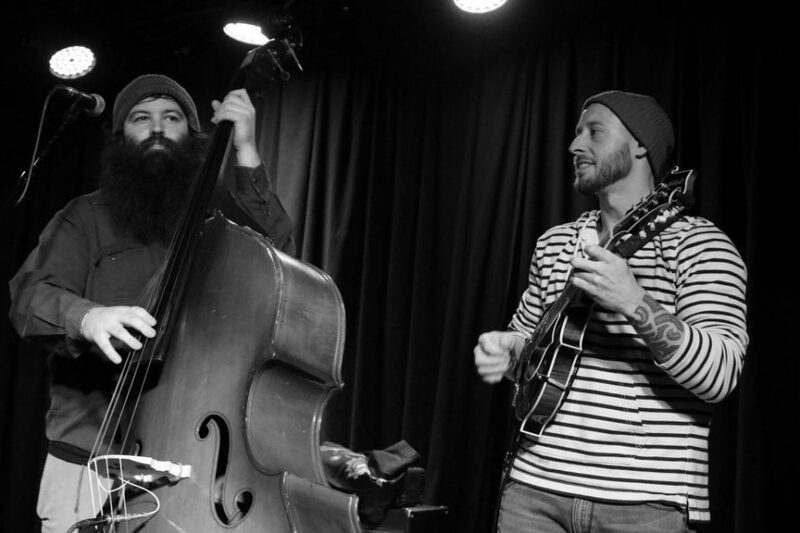 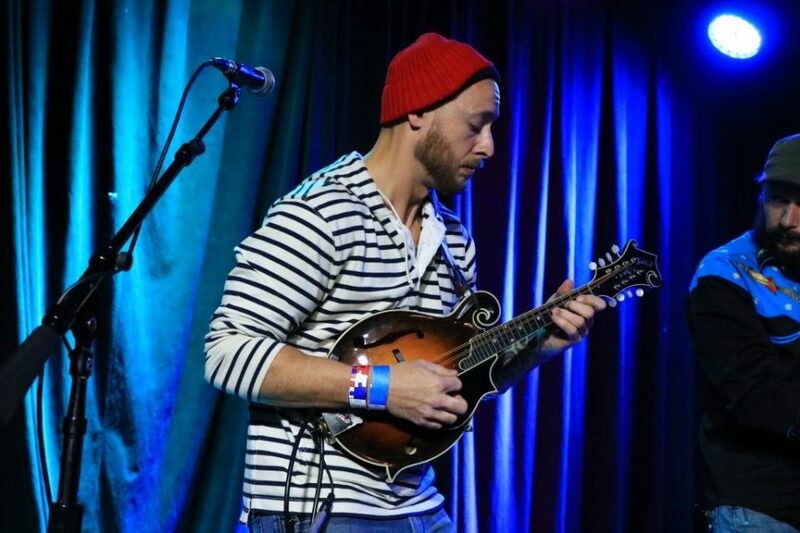 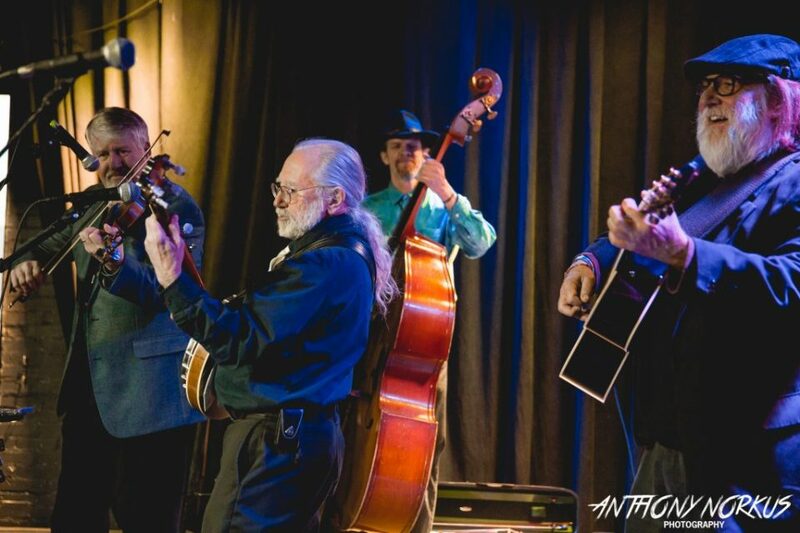 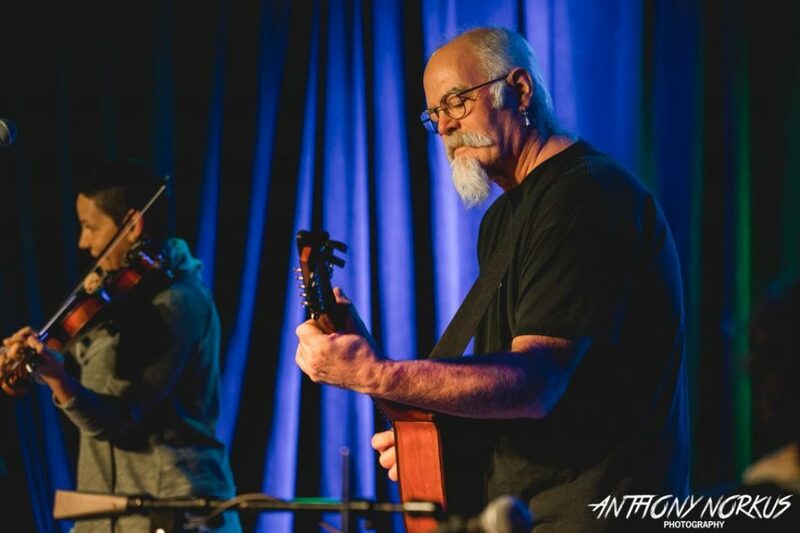 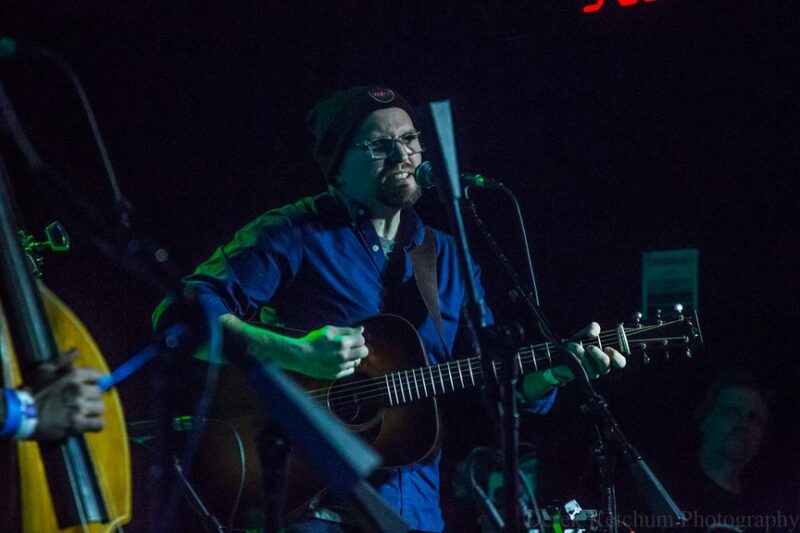 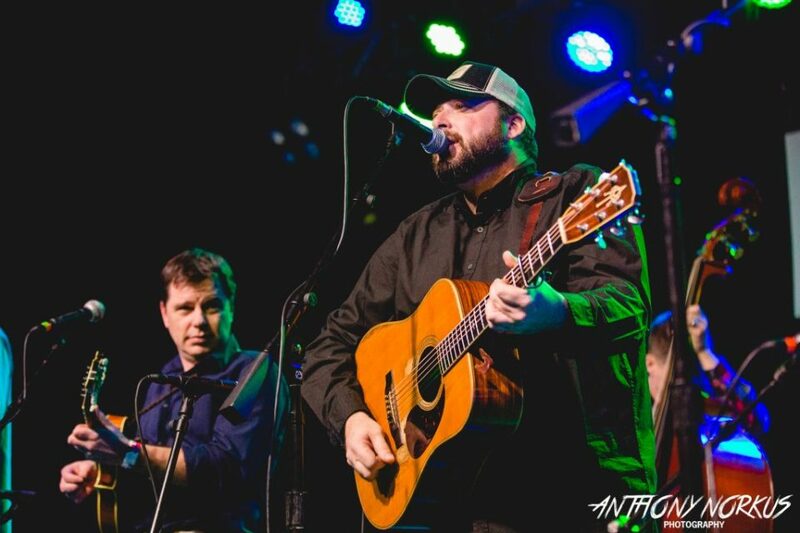 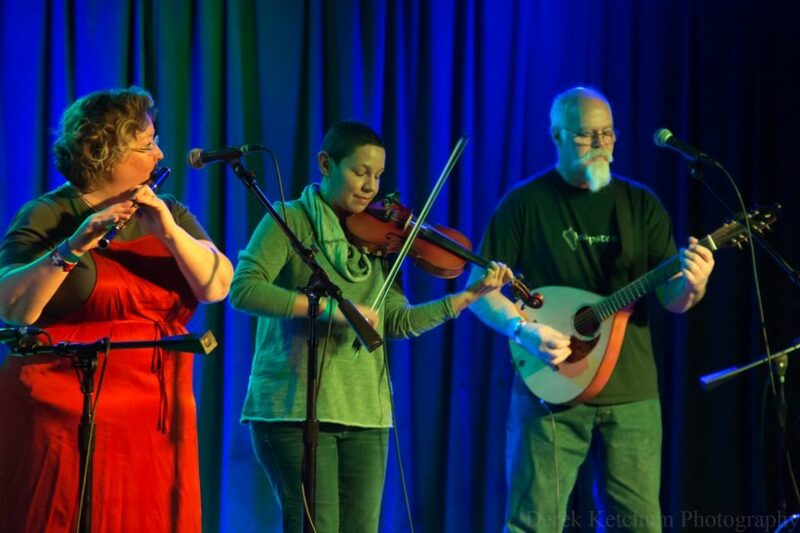 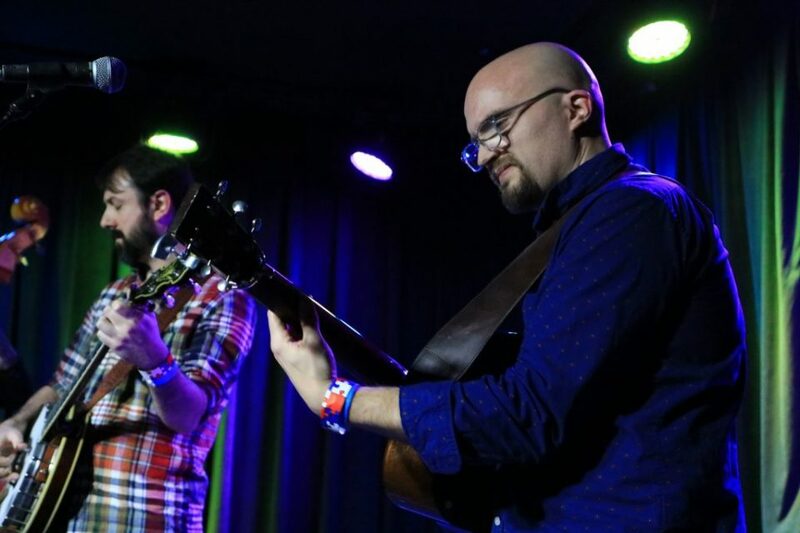 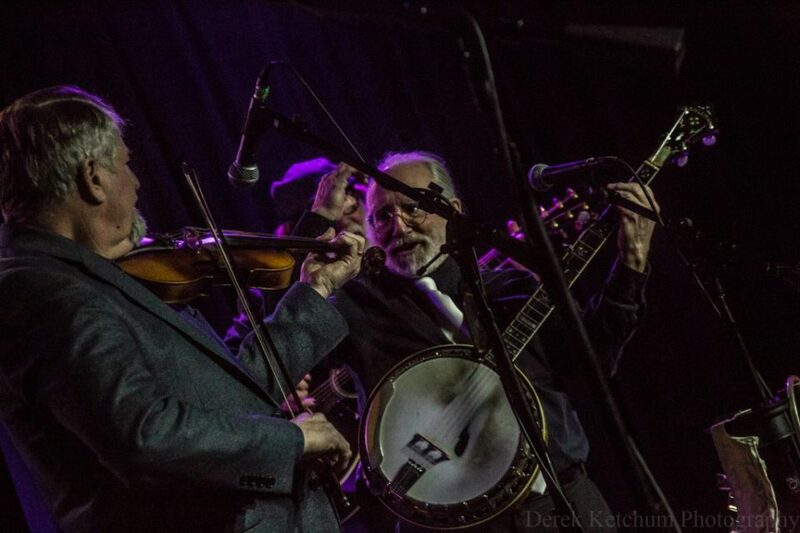 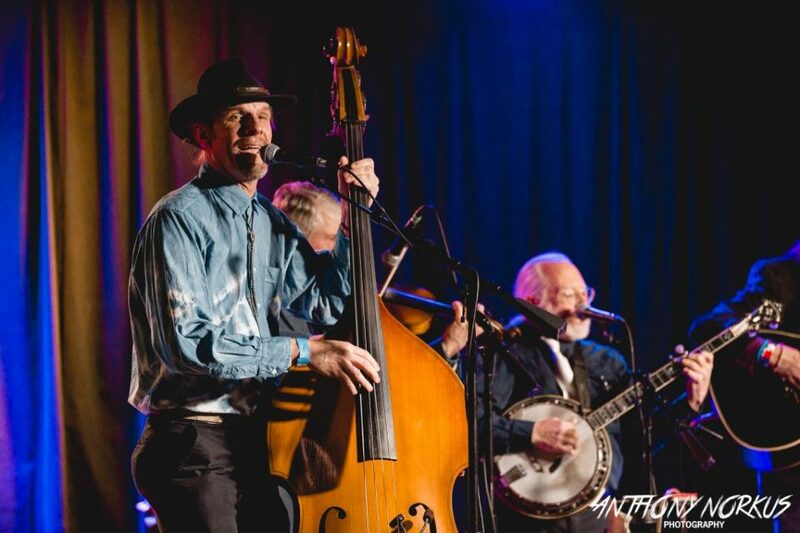 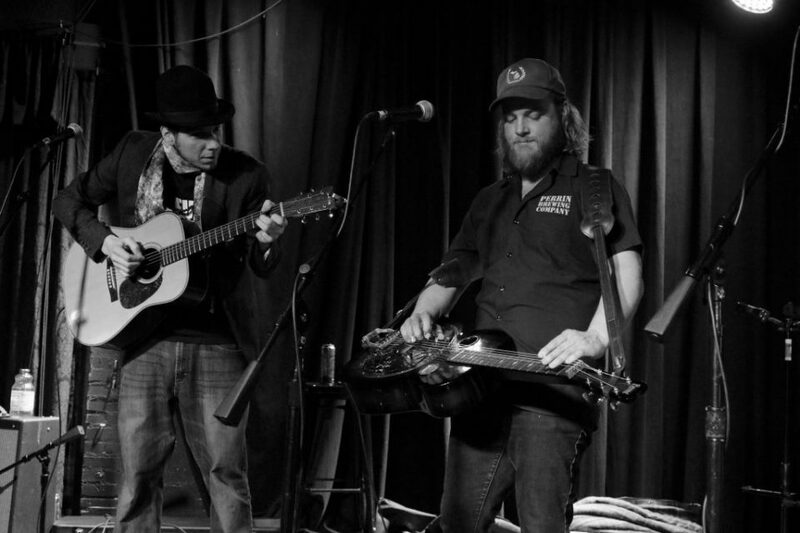 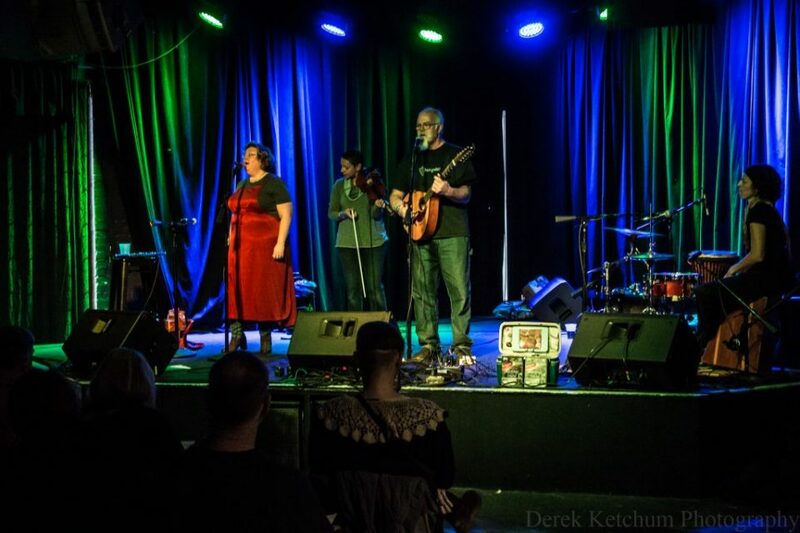 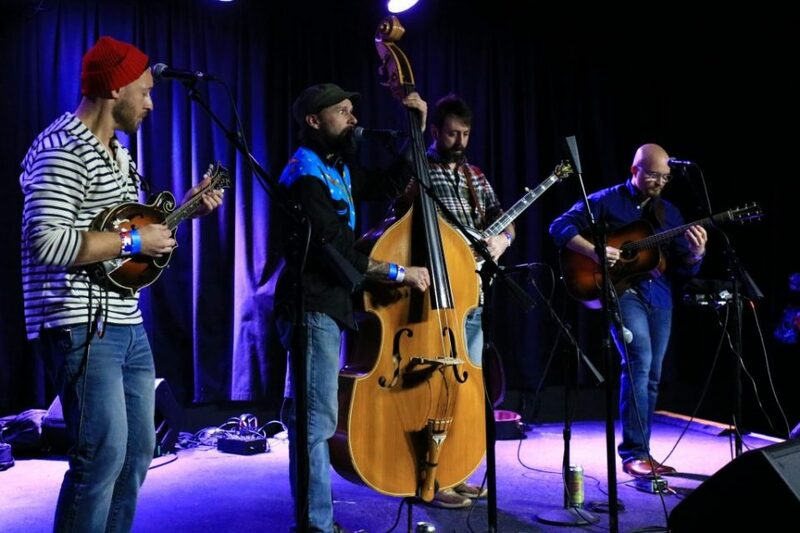 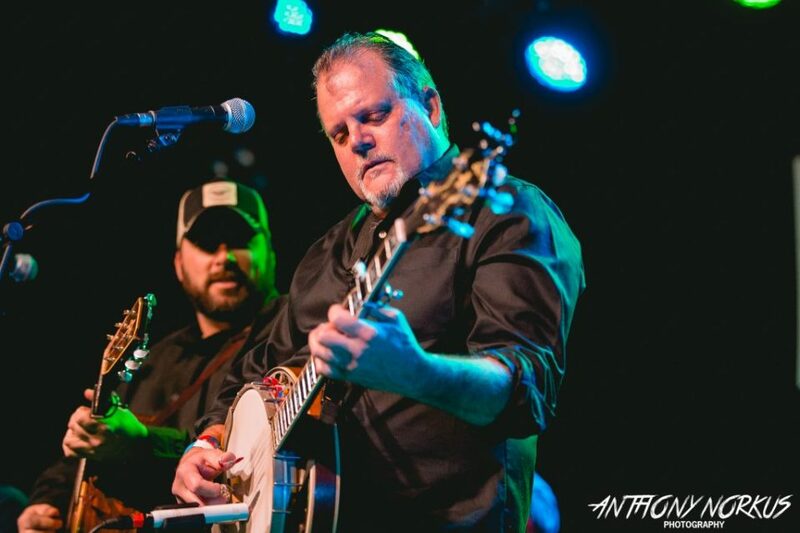 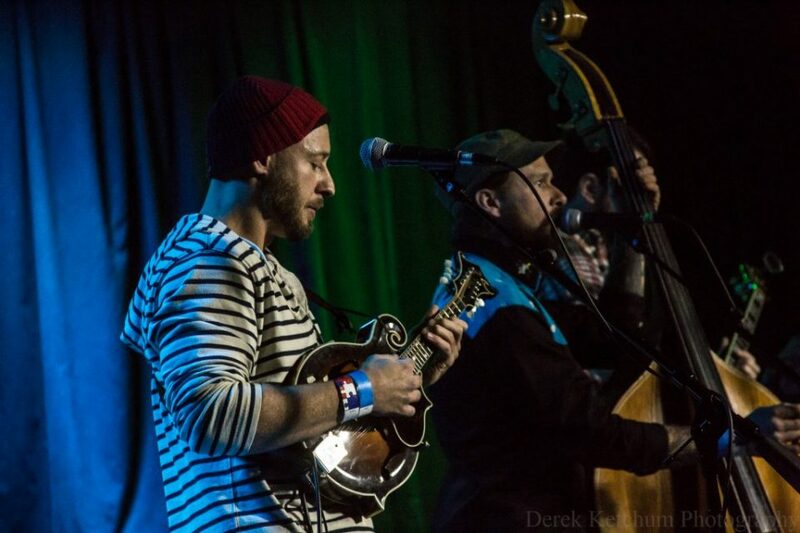 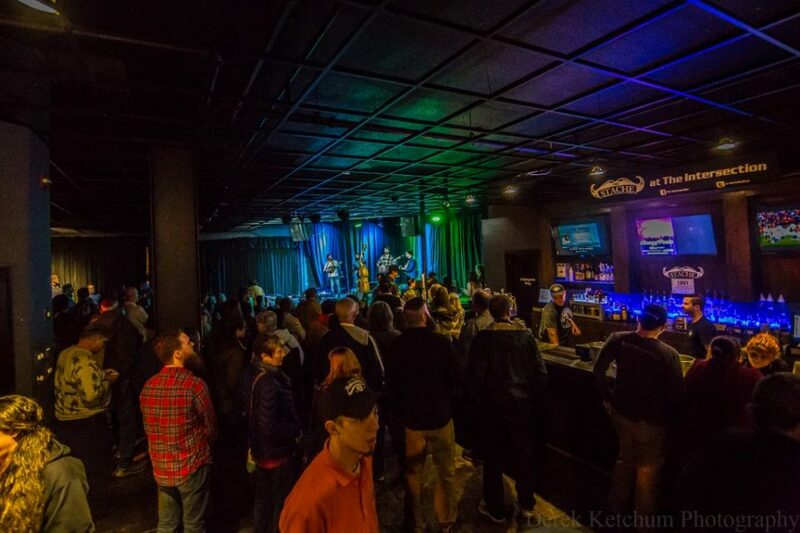 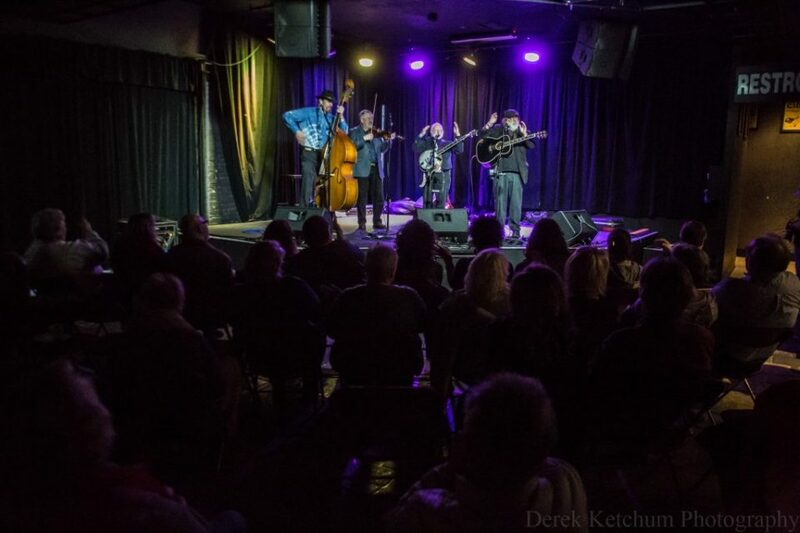 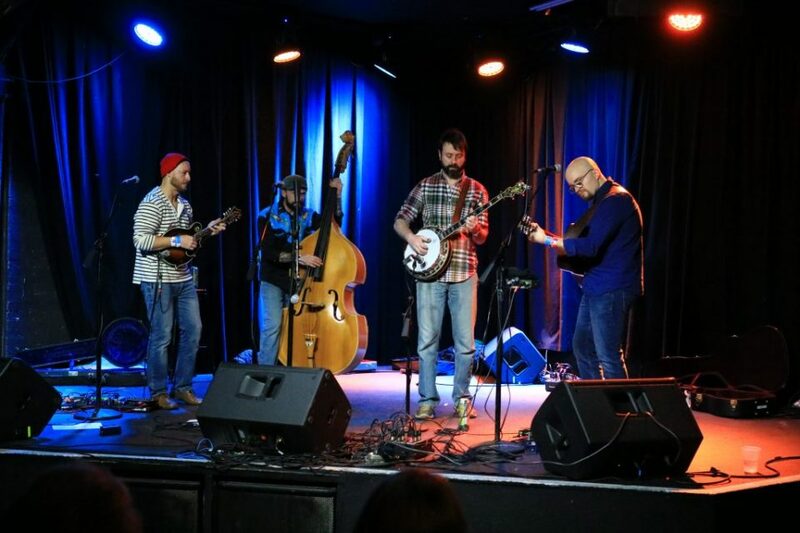 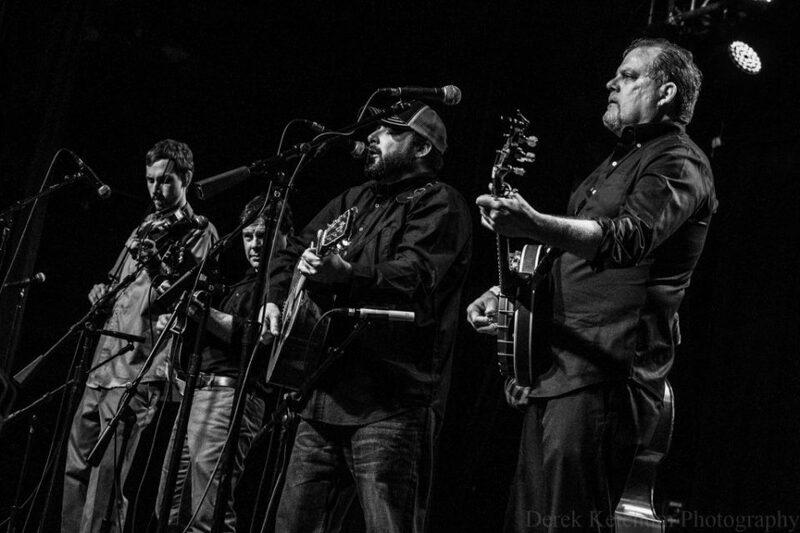 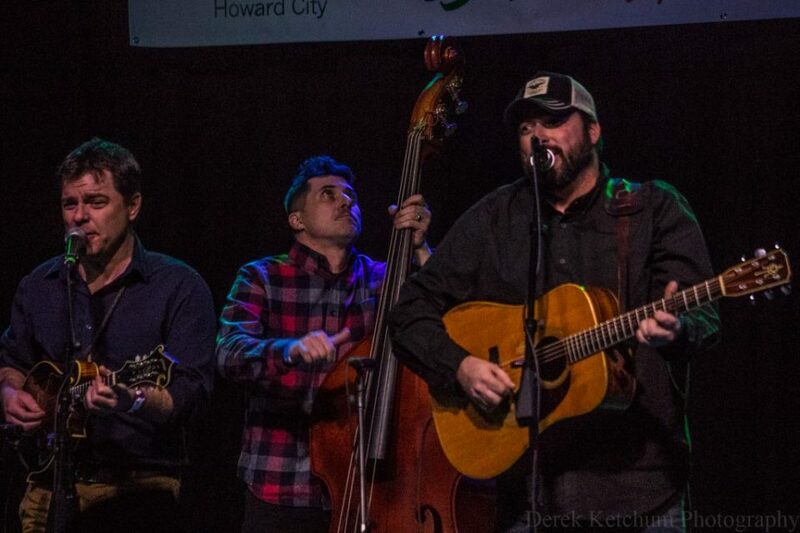 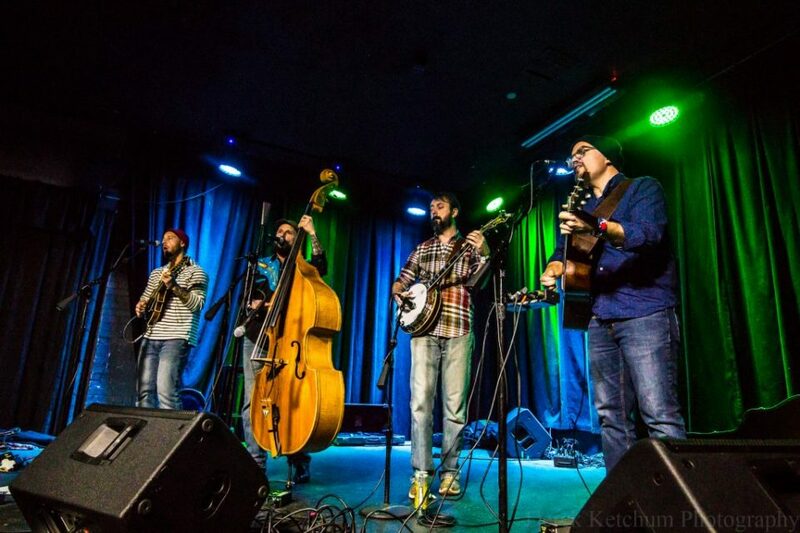 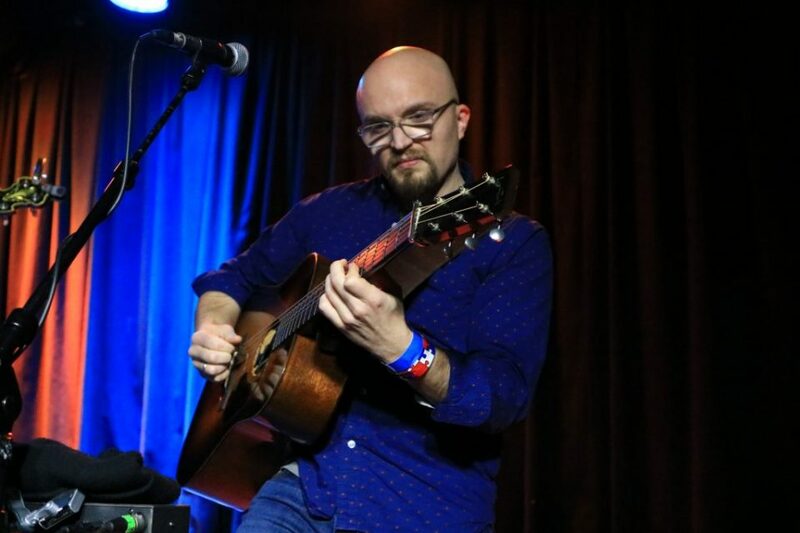 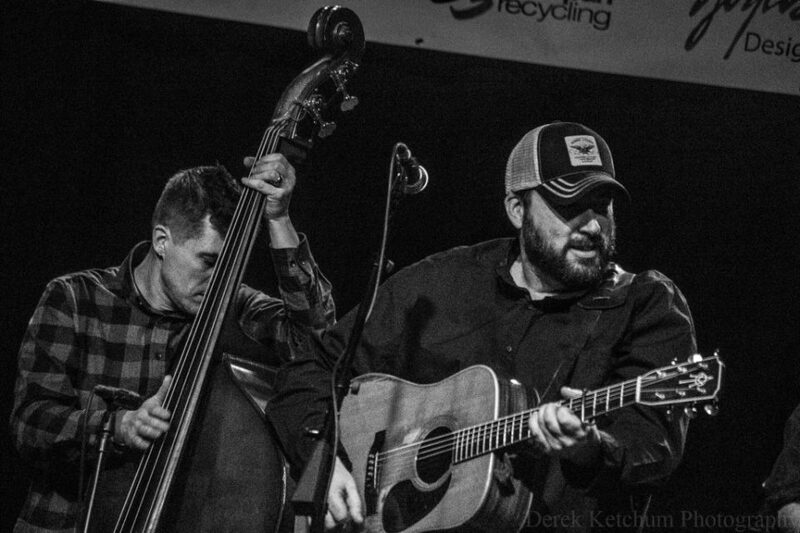 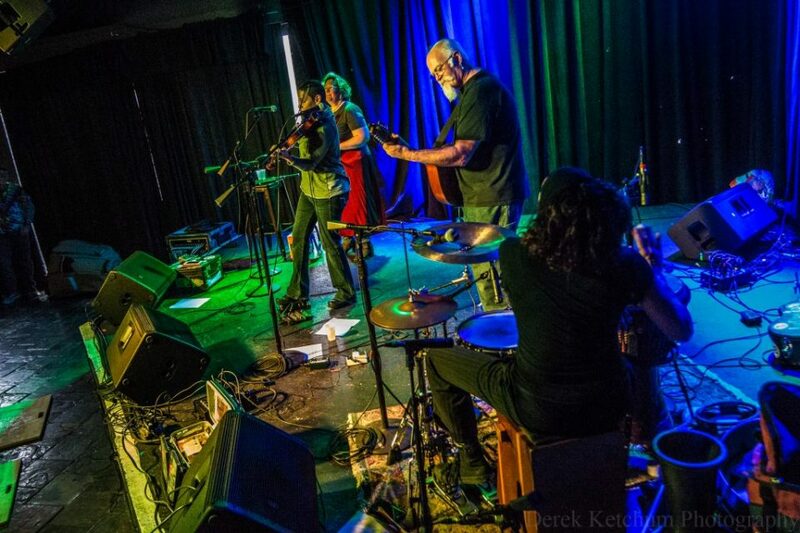 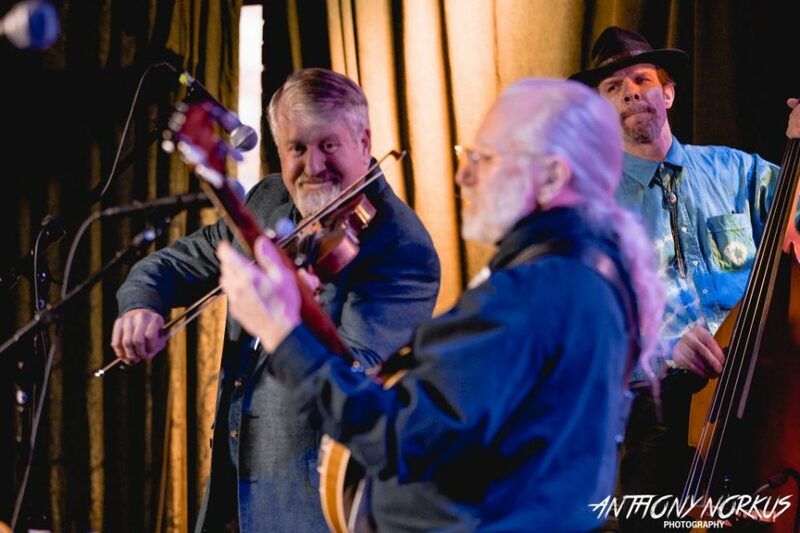 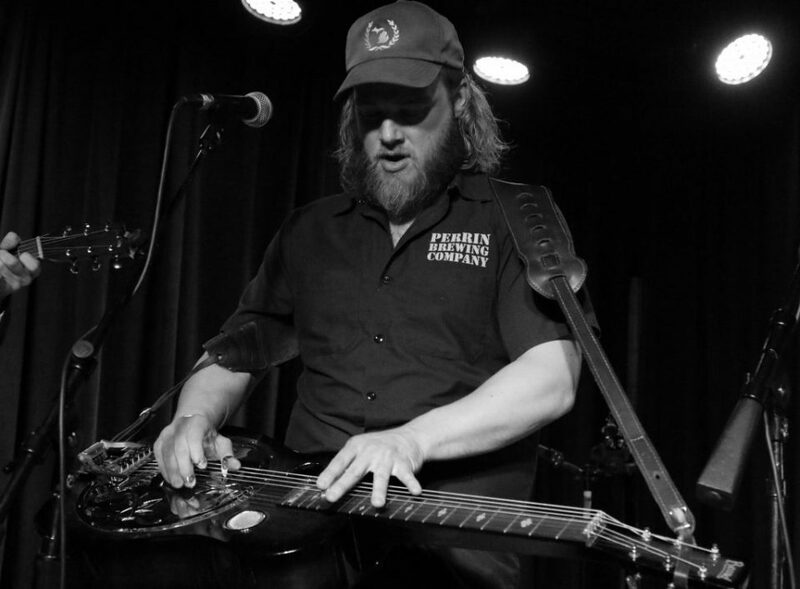 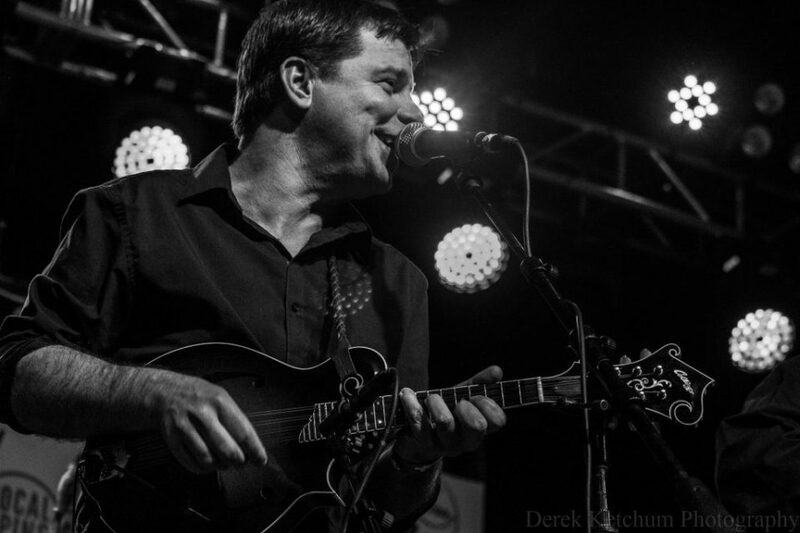 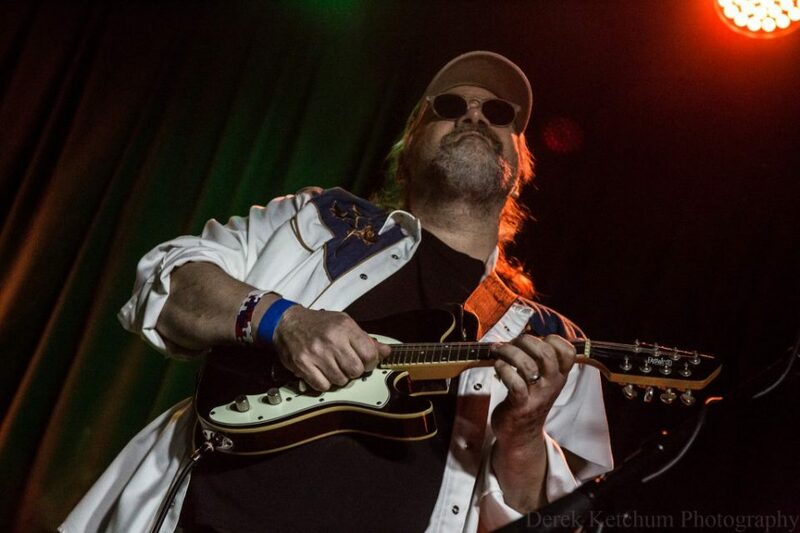 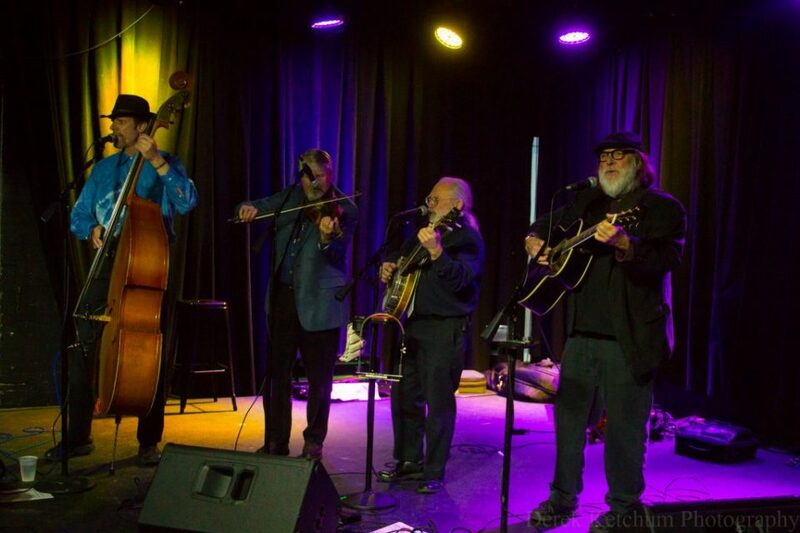 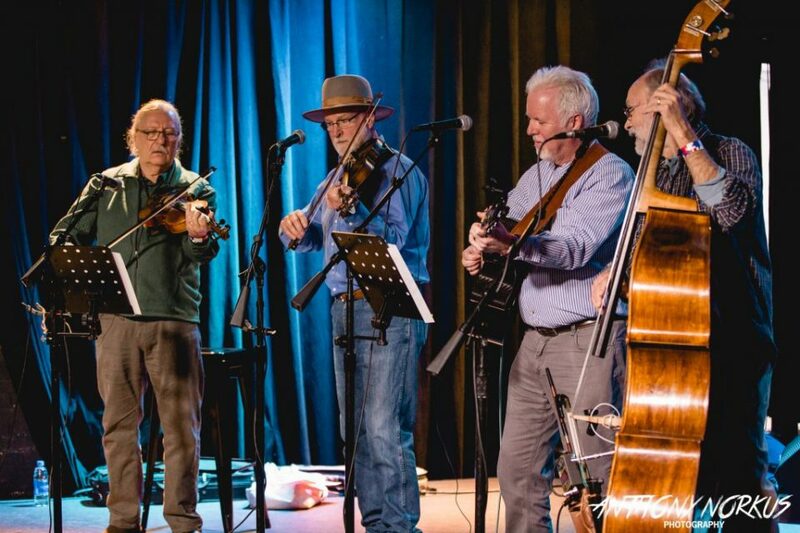 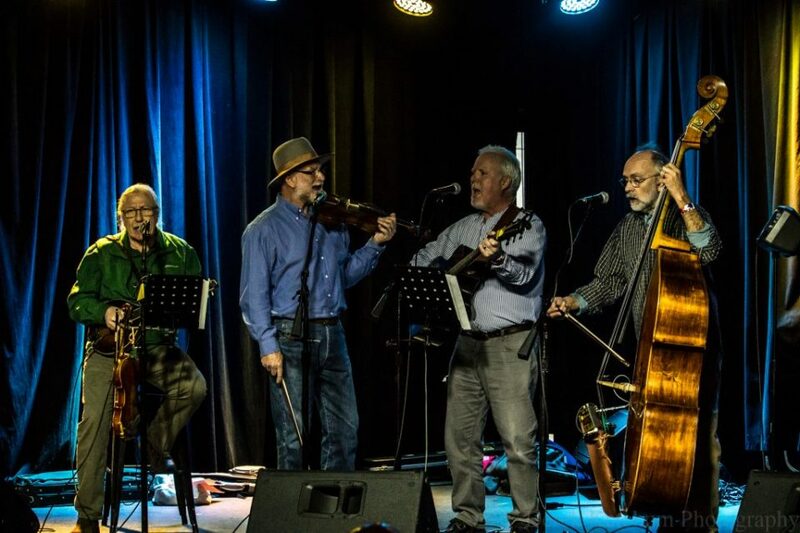 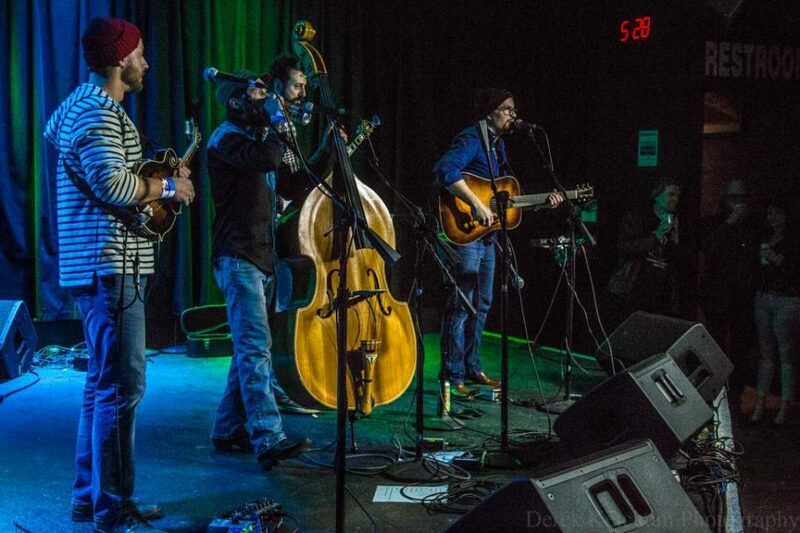 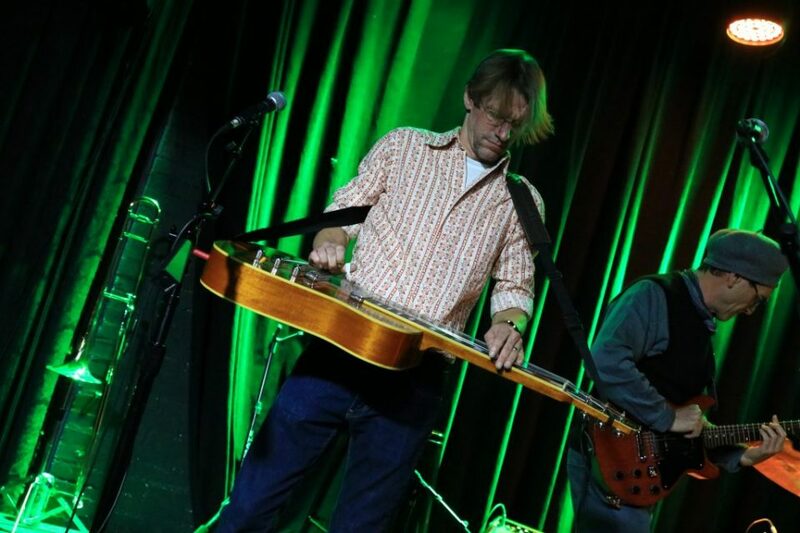 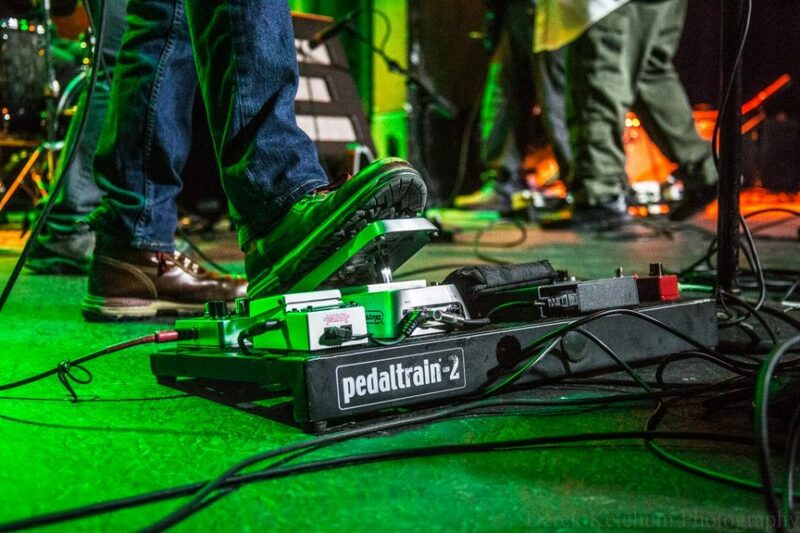 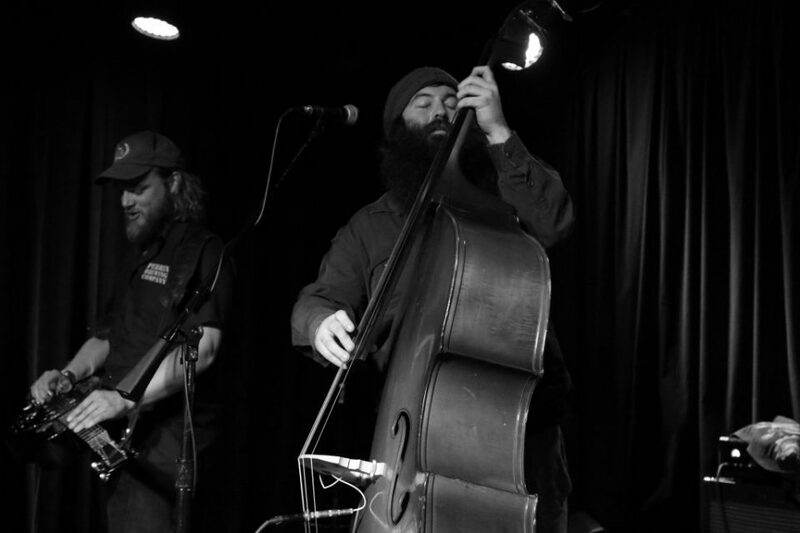 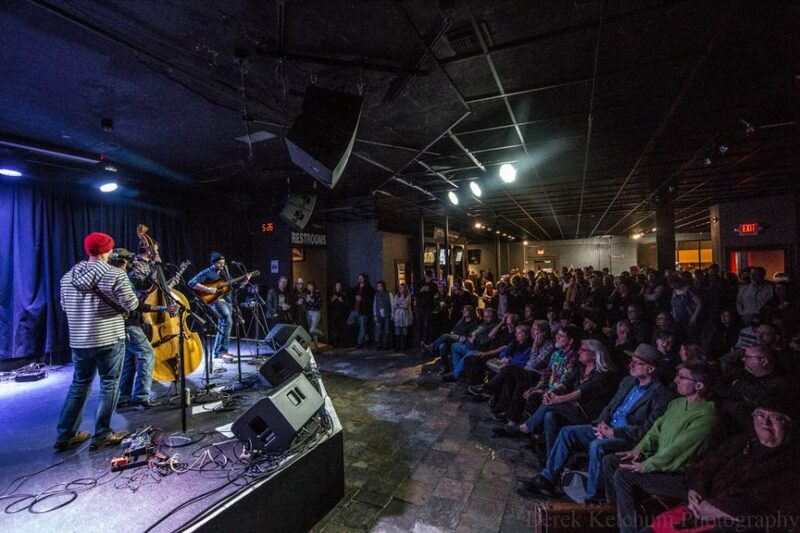 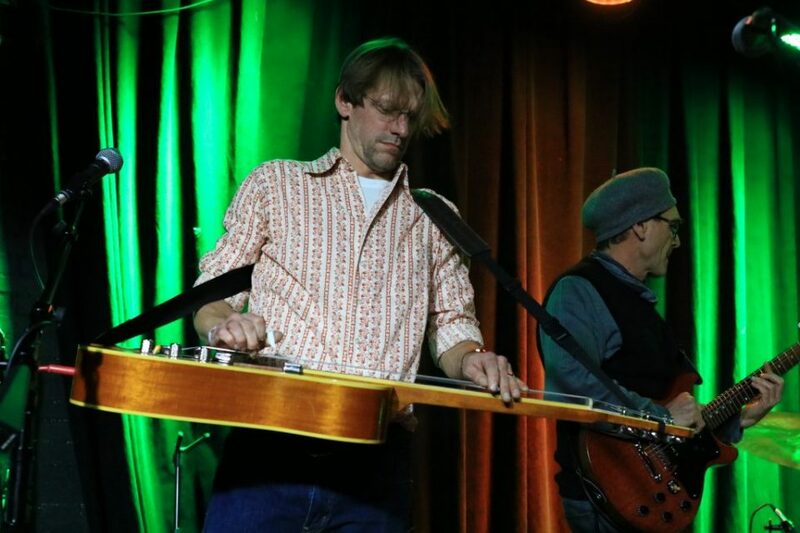 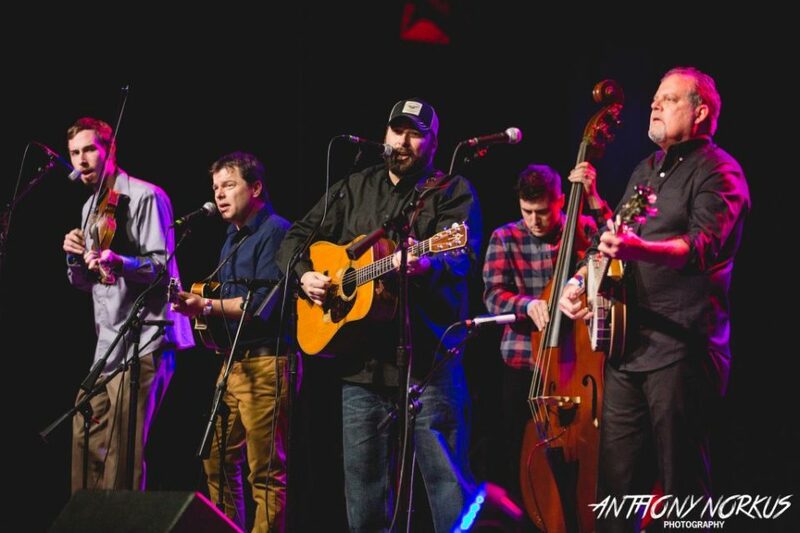 For Fauxgrass, it gave a celebratory, audience-pleasing flavor to the Grand Rapids band’s set as it bid farewell to guitarist Hayes Griffin, who was playing his final show with the progressive bluegrass group on Winter Wheat’s “traditional stage” in The Stache. 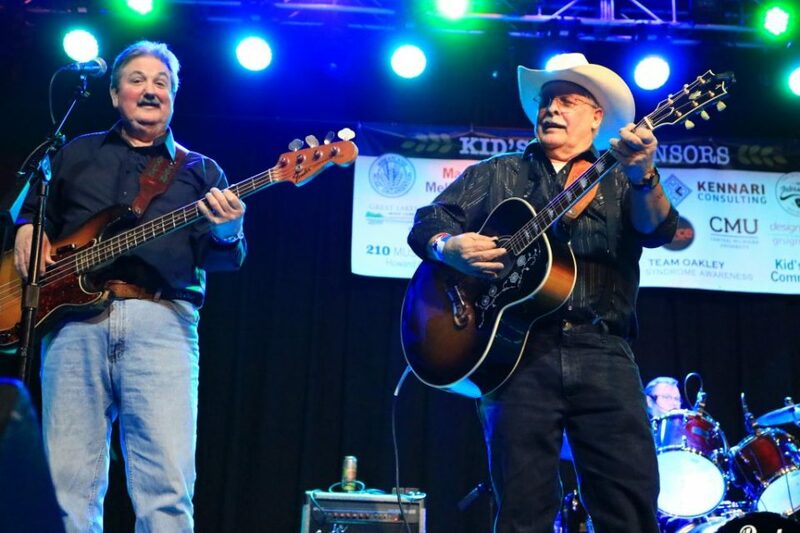 That Stache crowd continued to cheer when the Mark Lavengood Band took to the stage in true newgrass style. 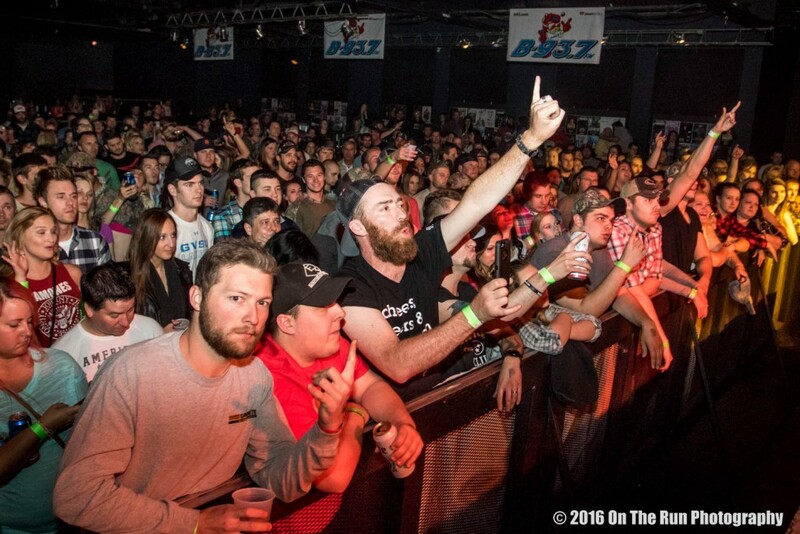 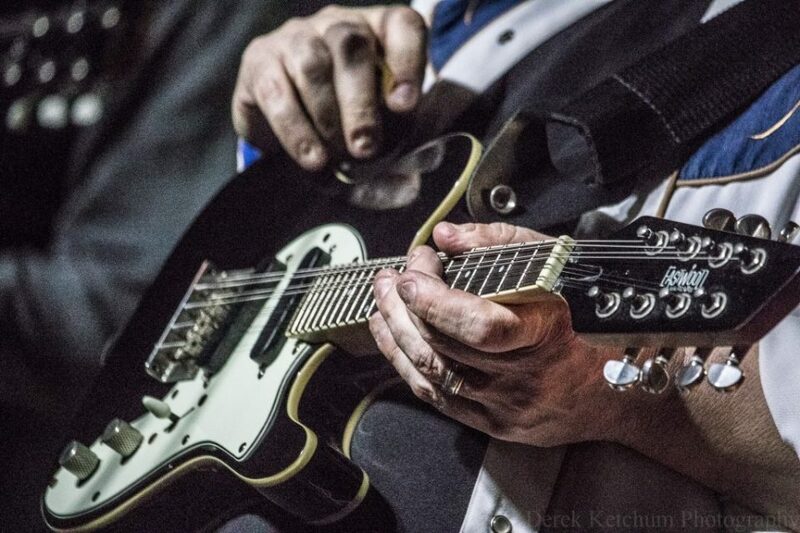 Maybe it was the intimacy of the venue or Lavengood himself (who has a reputation for this sort of thing), but there was a true sense of camaraderie between band members and fans. 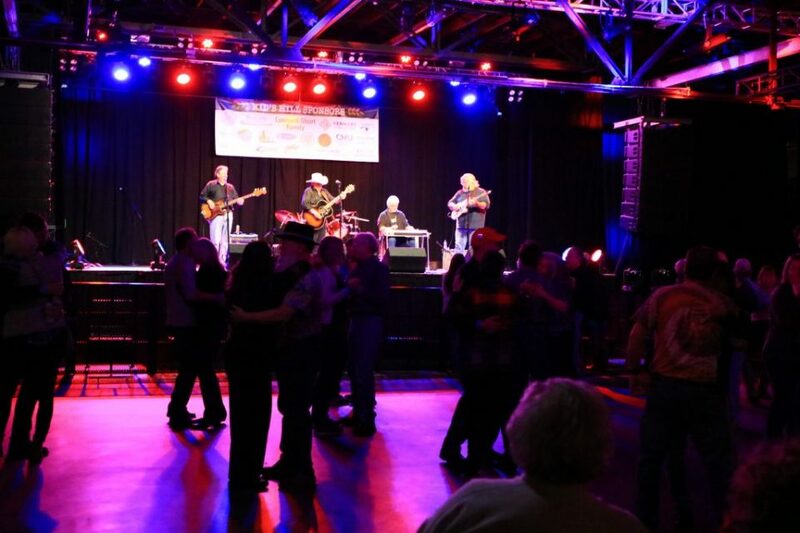 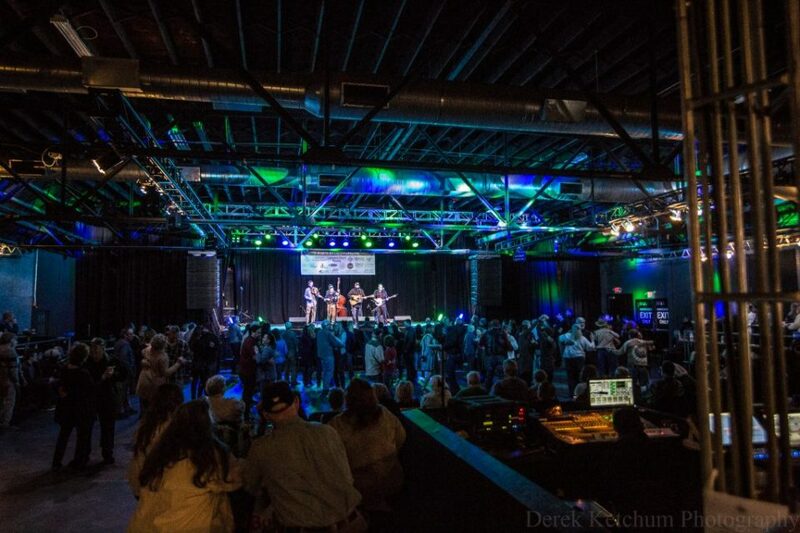 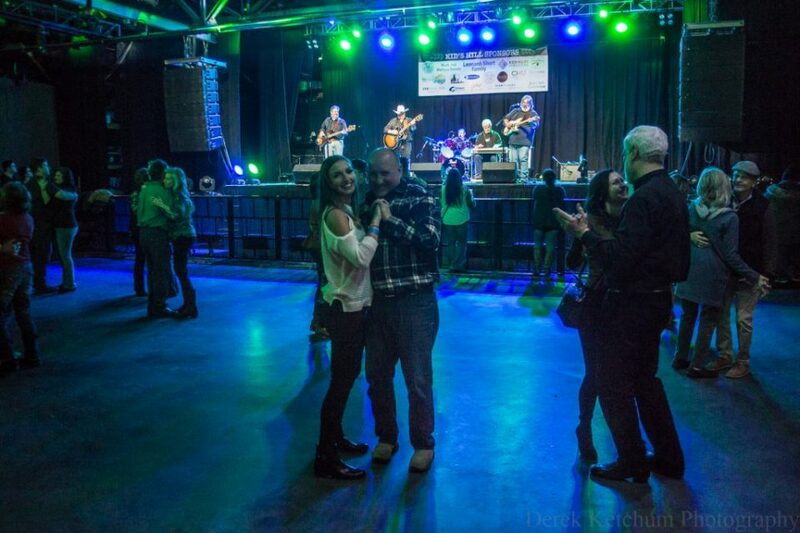 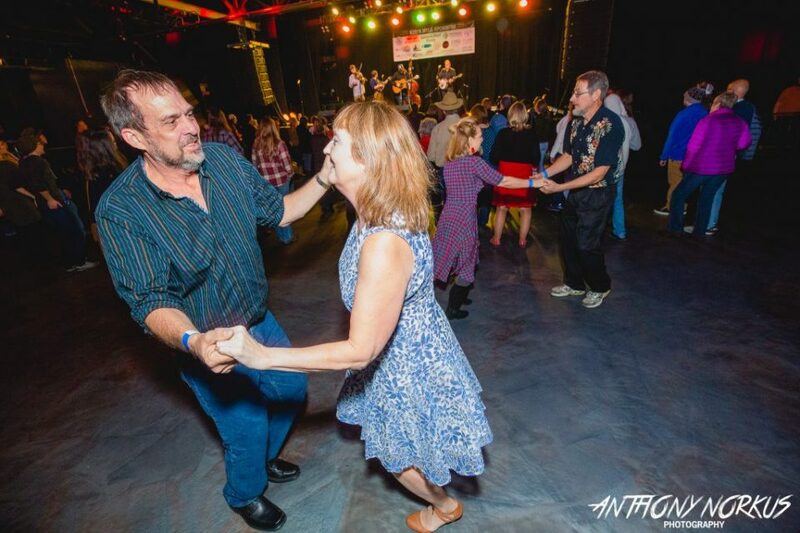 In the main showroom, the dance floor saw plenty of action as night fell on Saturday, with folks Texas two-stepping and circling one another. 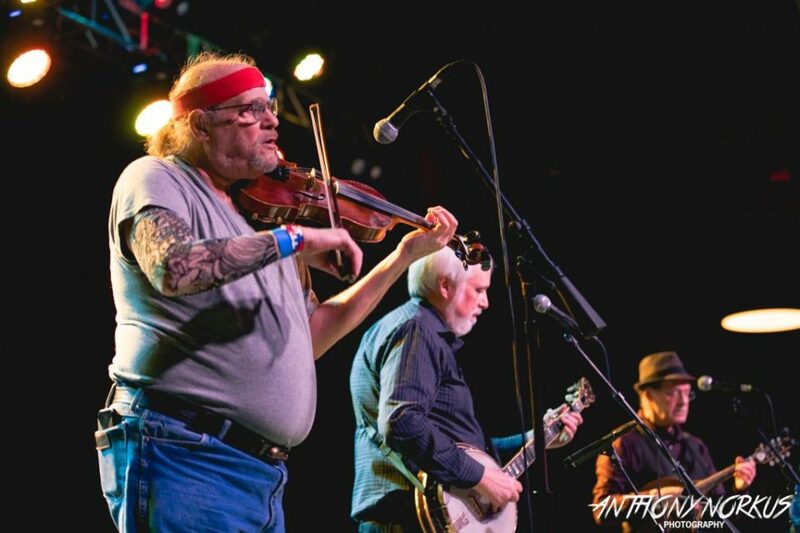 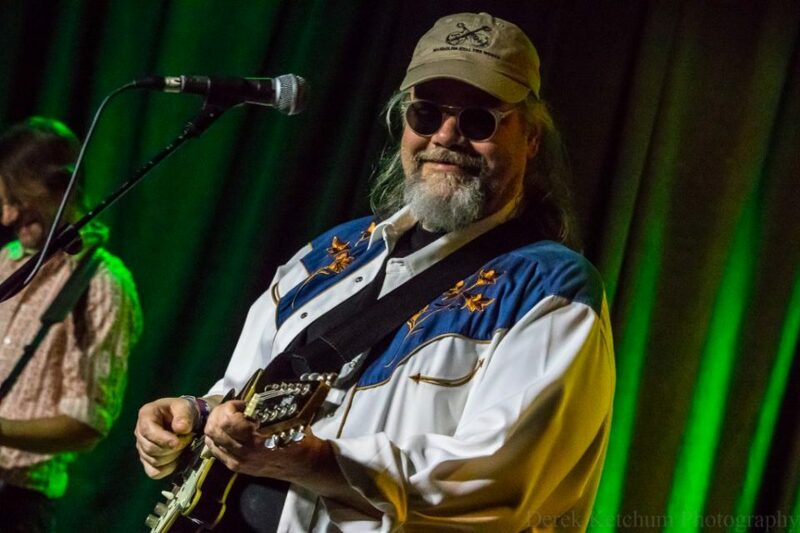 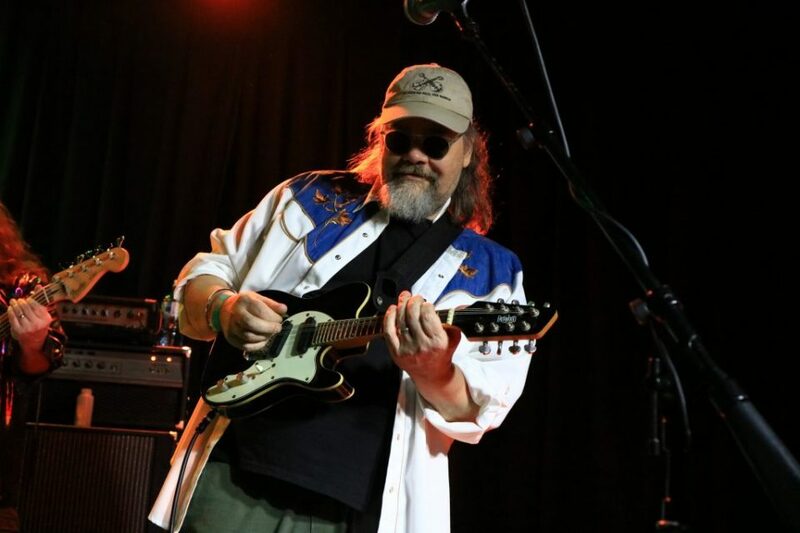 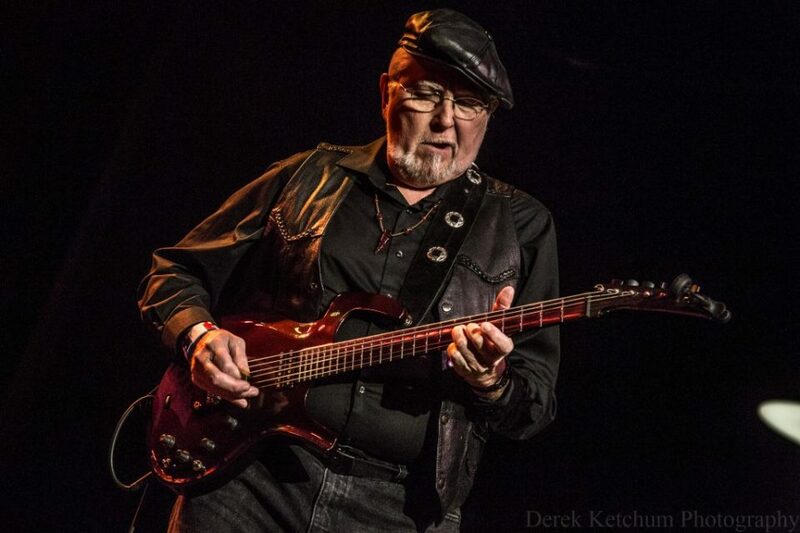 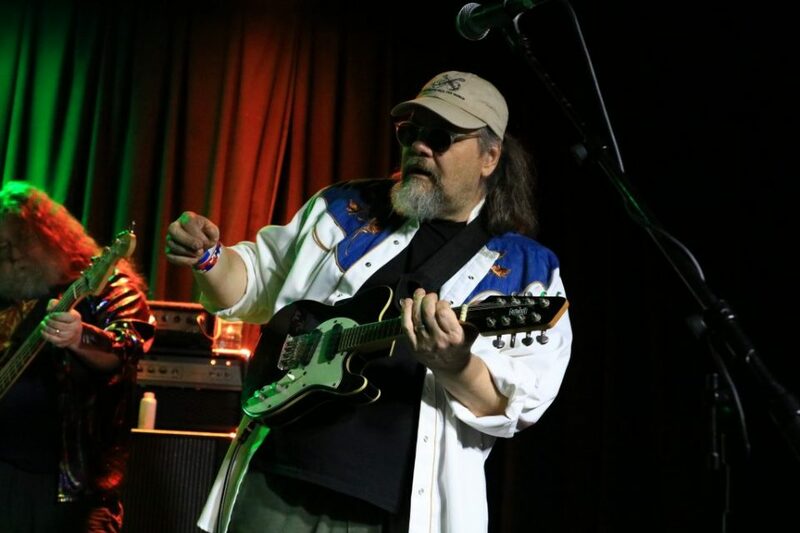 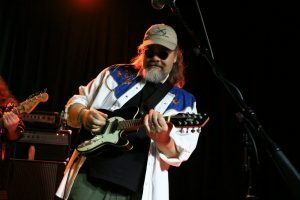 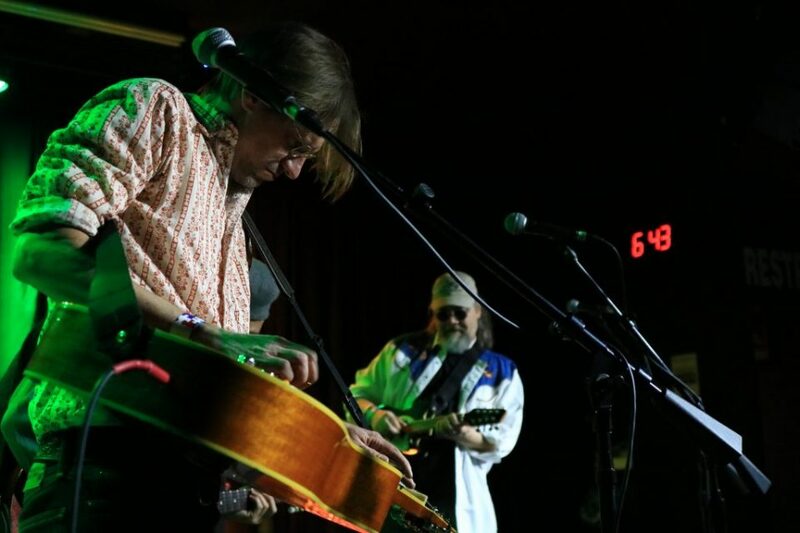 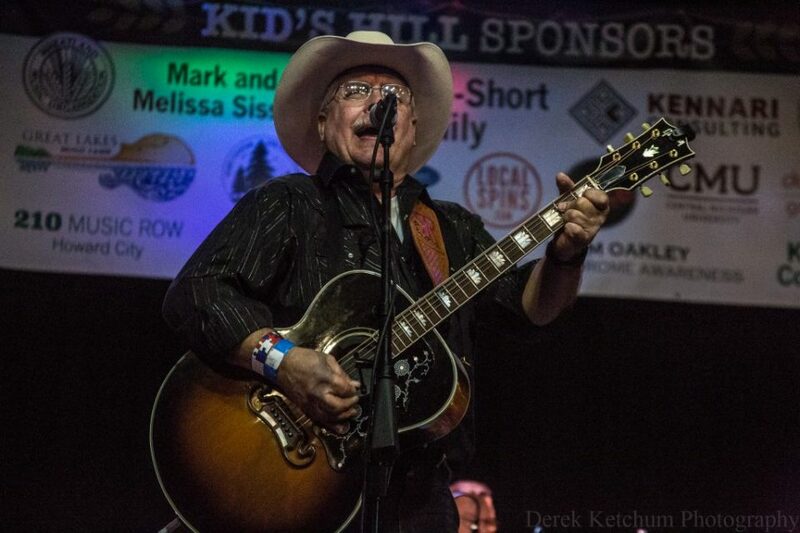 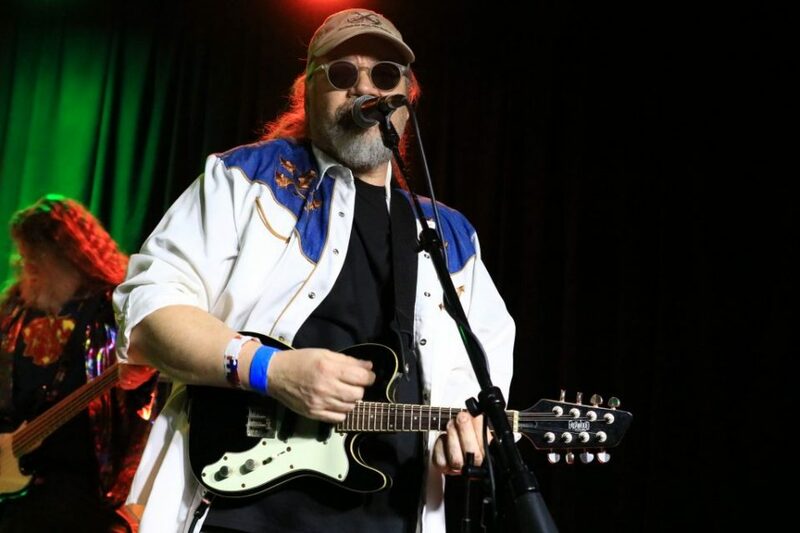 That was especially true during The Bootstrap Boys’ set, which included covers of songs such as “Family Tradition” by Hank Williams Jr. and new songs from their upcoming album. 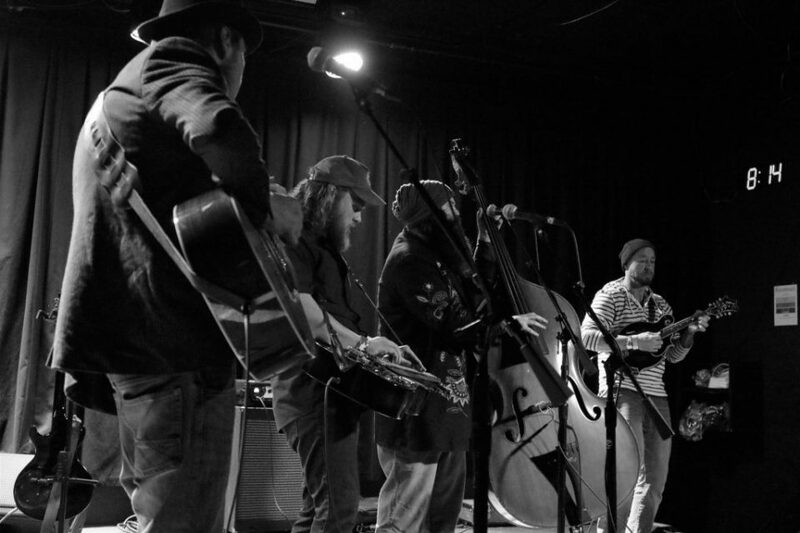 The band performed an encore rendition of “Train” by Blackfoot, before leaving stage to raucous applause.